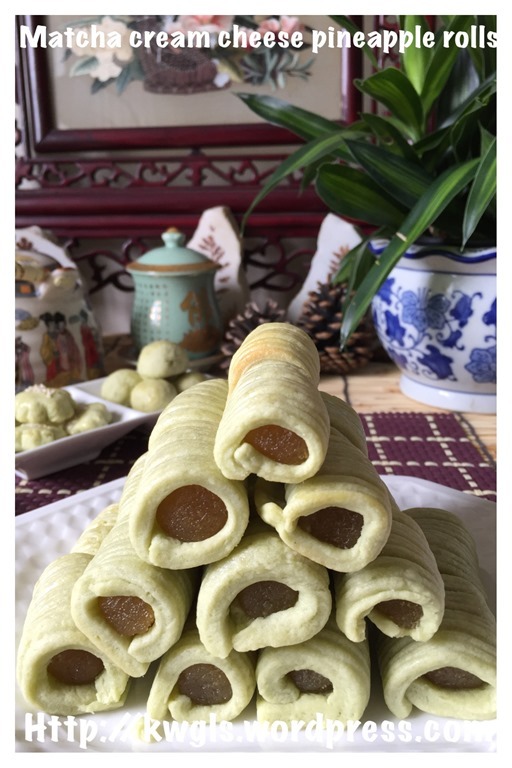 But I am lacking another popular pineapple tarts recipe in the form of rolled dough or pineapple rolls.. 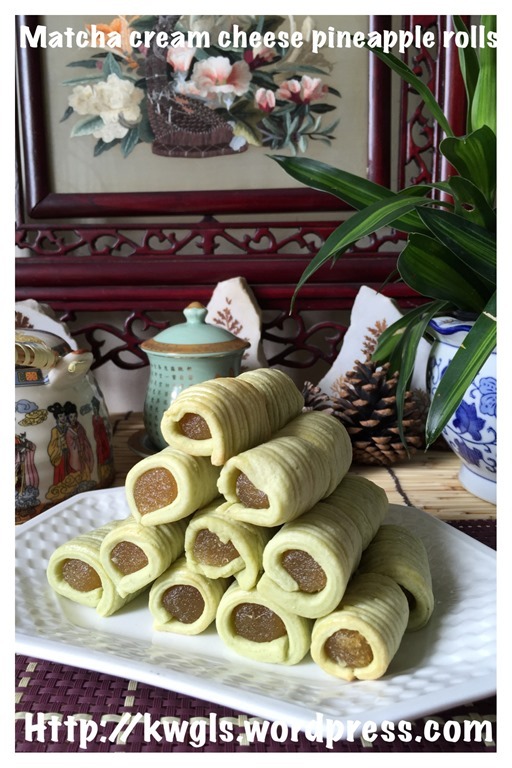 So I thought this year I will share with readers this pineapple rolls to make my pineapple tarts recipes complete. 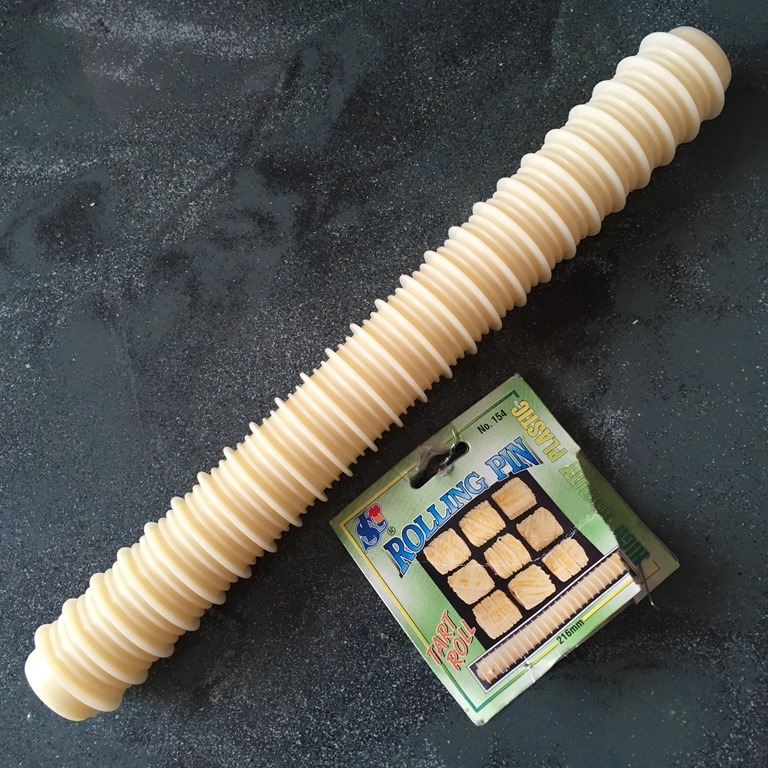 I am rather unhappy with my new kitchen gadget, the special rolling pin for this pineapple rolls. I did not research before I bought this cheap gadget in a bakery shop.. When I tried to use, I found that it is not as easy as what I thought. In fact, it is quite tough as the dough is pressed and difficult to roll. Subsequently, I search in the internet and I found that there is another type of pump which will give a better shape for rolling. I would advise if you do not have any gadget and intend to buy, do buy those that come with a piston type. 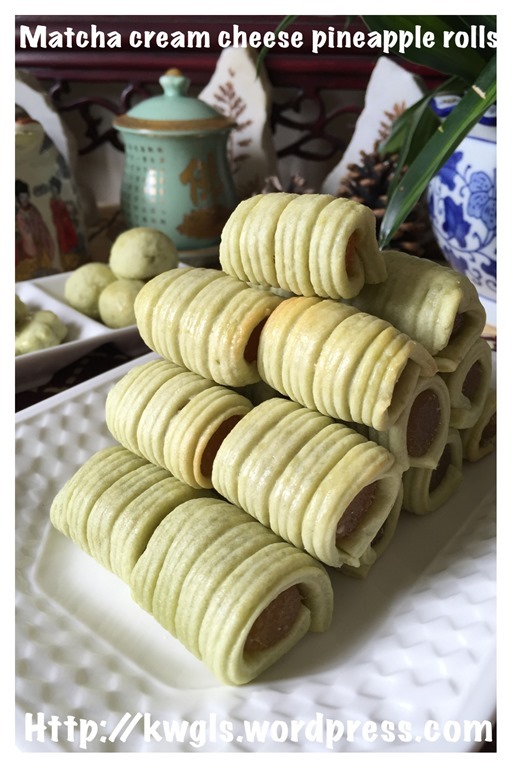 In the previous year, many readers are asking me if I have any cream cheese pineapple tarts dough recipe, so i have decided to incorporate this cream cheese and added a green tea flavouring. 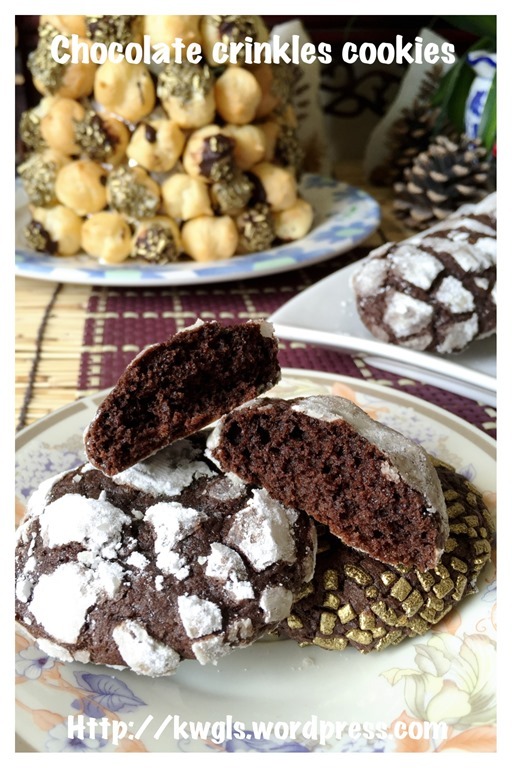 The taste is delicious and texture is nice but personally, I would prefer the traditional golf balls type of pastry which you can refer to the post above.. But if you are looking for a change, you can always tried this.. 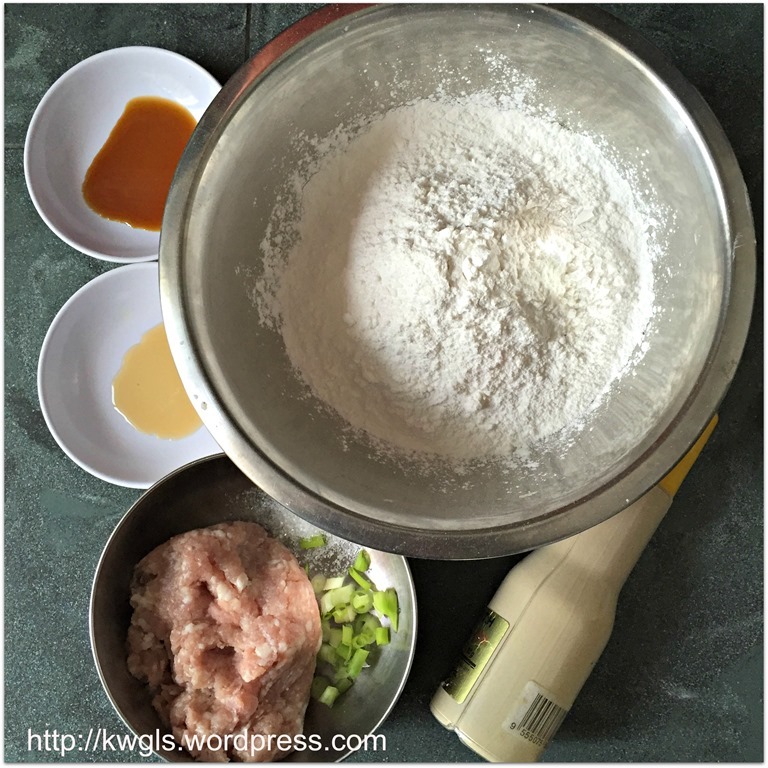 I have a big Kenwood Chef mixer, and at time it becomes a burden for the preparation of a small quantity of dough or creaming with butter. Therefore, I have resorted to the use of a food processor in the preparation of dough. 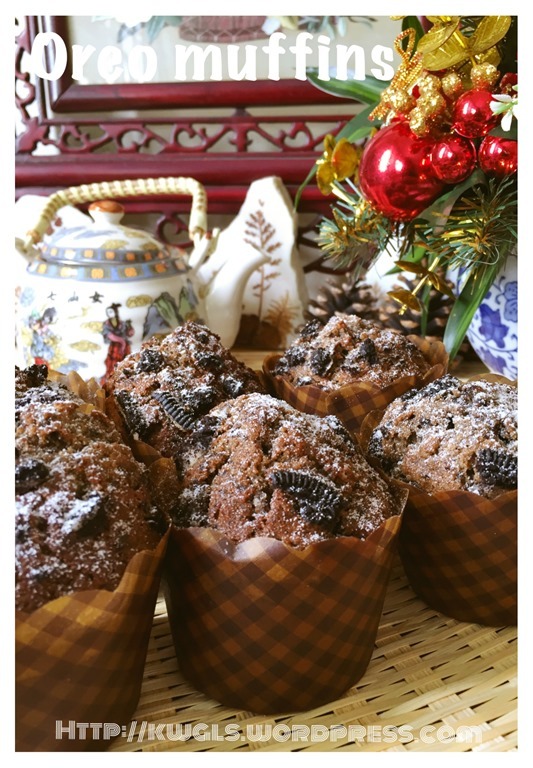 This is not a must, you can always use the traditional “rubbing method” or “creaming method” of creaming butter and sugar until light and fluffy. Feel free to use the method that are most suitable to your work flow. 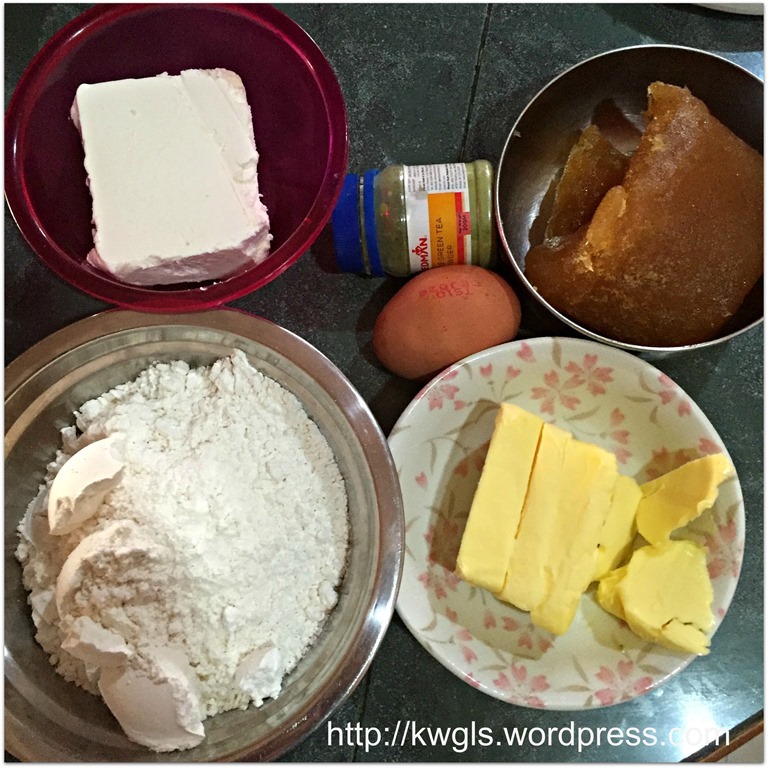 Shape the pineapple jam into an oblong shape of your desired size. In this illustration , it is about 2 cm long with 1 cm diameter. 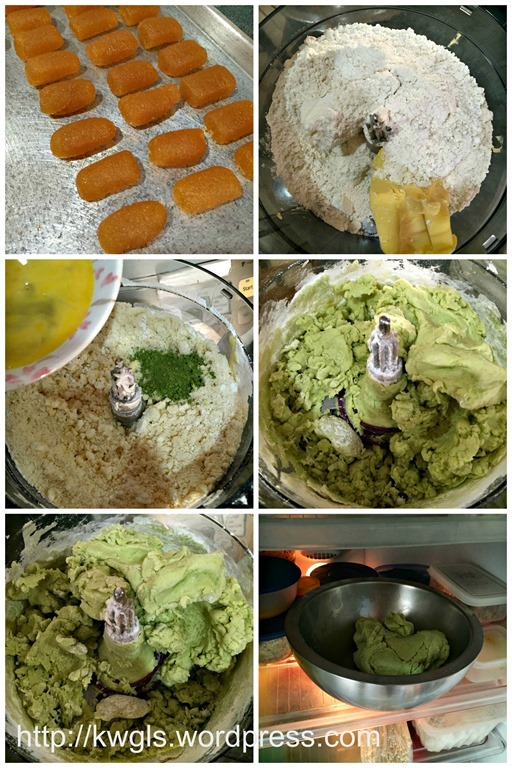 In a food processor, place the butter, cream cheese, flour , icing sugar and green tea powder, pause blend for 1 minute until the flour and butter and cream cheese combined and become crumble form. 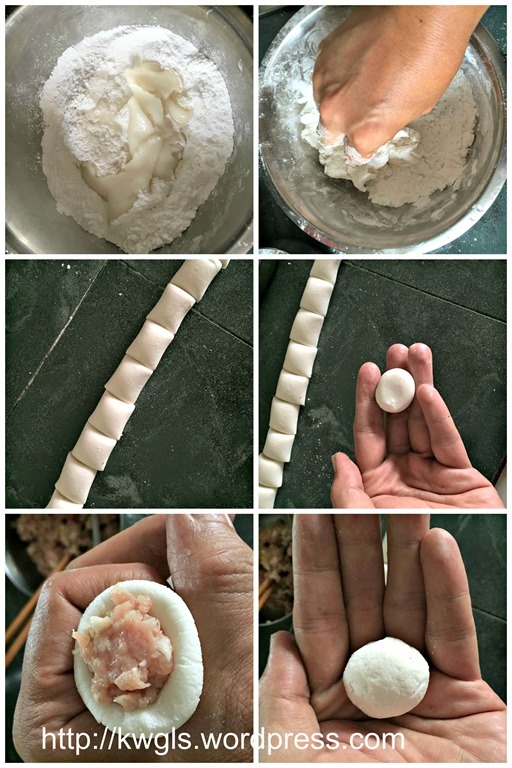 Add the beaten eggs, pause blend again until it forms a pliable dough. 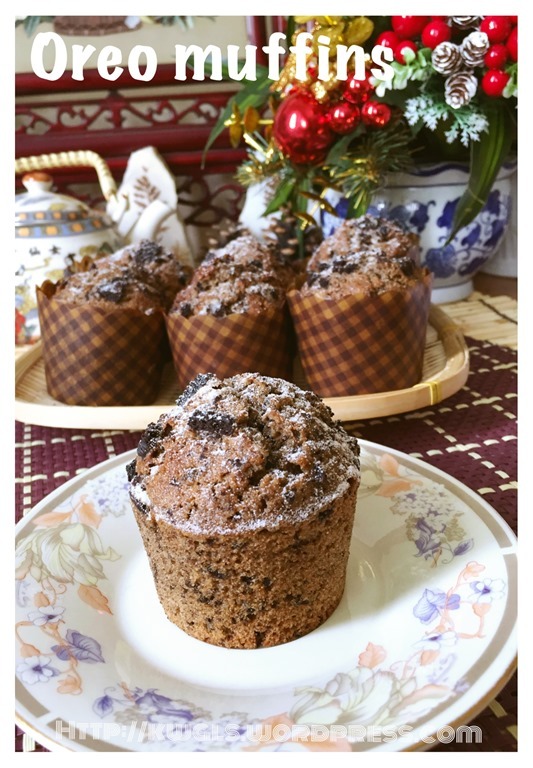 If it is too dry, you can add milk tablespoon by tablespoon. 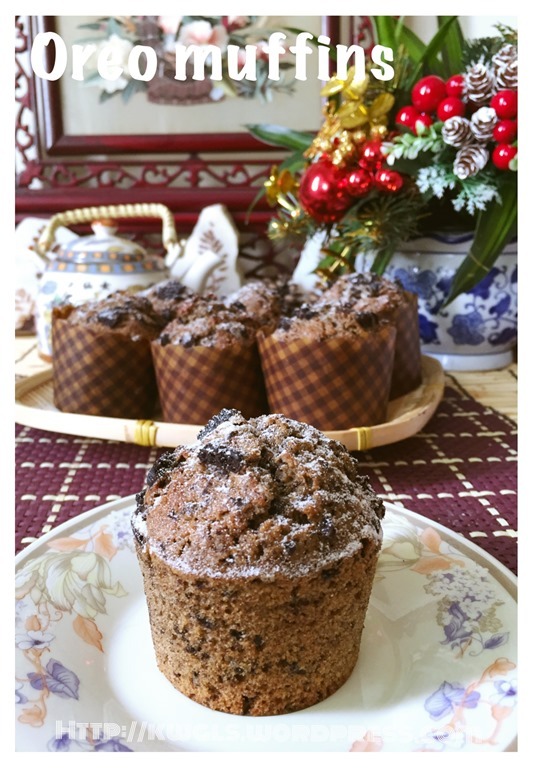 If it is too wet, you can add flour tablespoon by tablespoon . 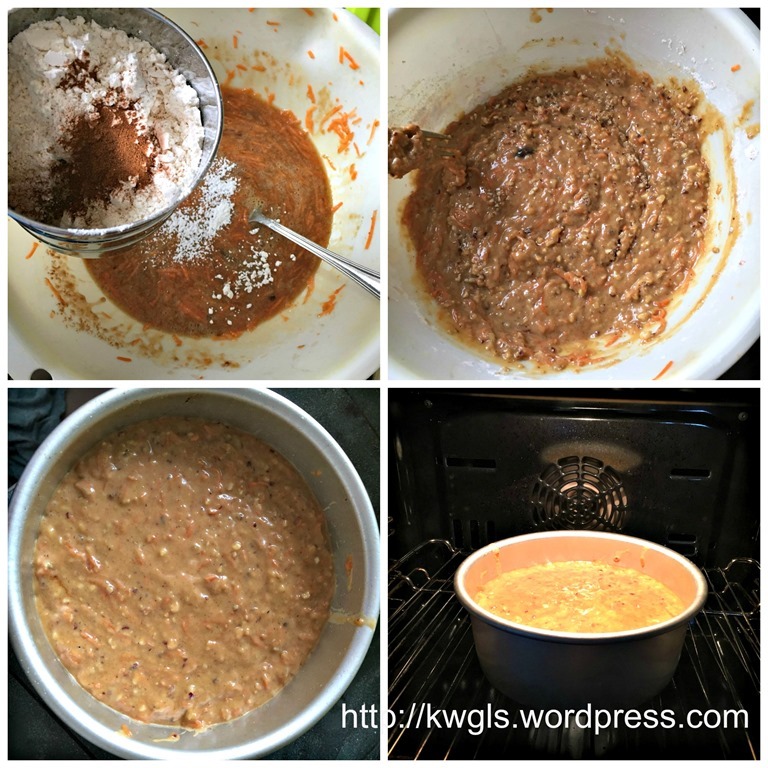 Do not over blend as it may yields gluten that make the dough chewy. 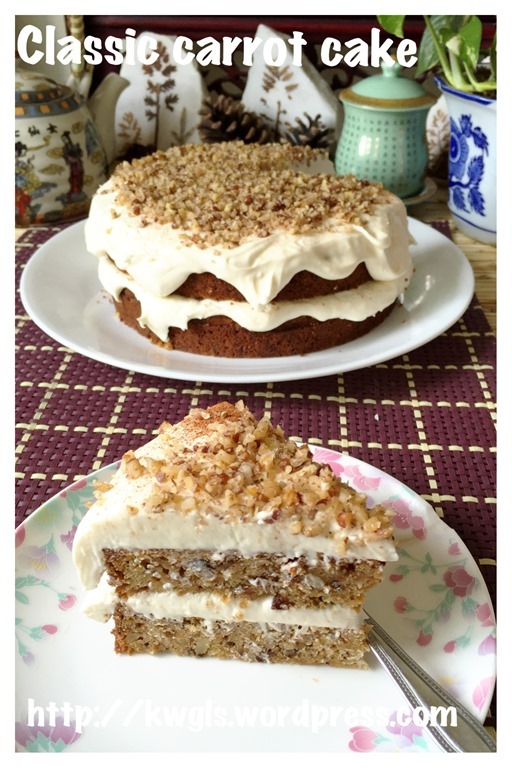 Normal creaming method of beating butter, cream cheese and sugar until light and fluffy can be used too. Transfer the dough out to the work surface, if it is too soft, chill in the fridge for 15-30 minutes or until it is easier to handle. Pre-heat the oven to 160 degree Celsius. Take some portion of the chilled dough, place on top of a baking paper, put another piece of baking paper on top, roll it to about 3-4 mm thickness. 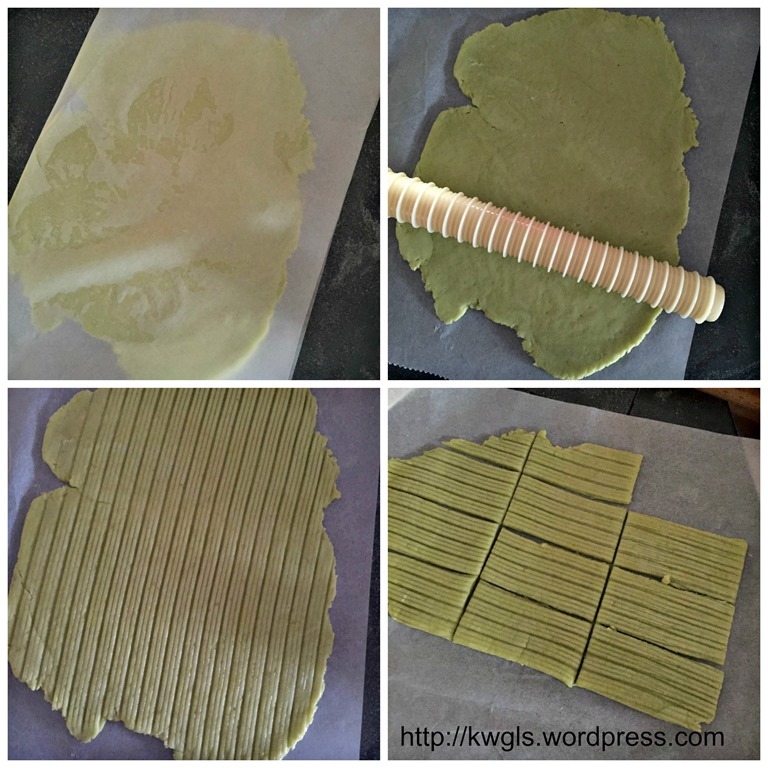 Take away the top covering baking paper, use the special rolling pin to roll it once for the pattern to appear. Take one dough and roughly measure the size the required. Cut into required size using either a knife or pizza rolling knife. Carefully turn over the dough, put a pineapple jam on top on one part of the dough and it ensuring that all the jams are covered. 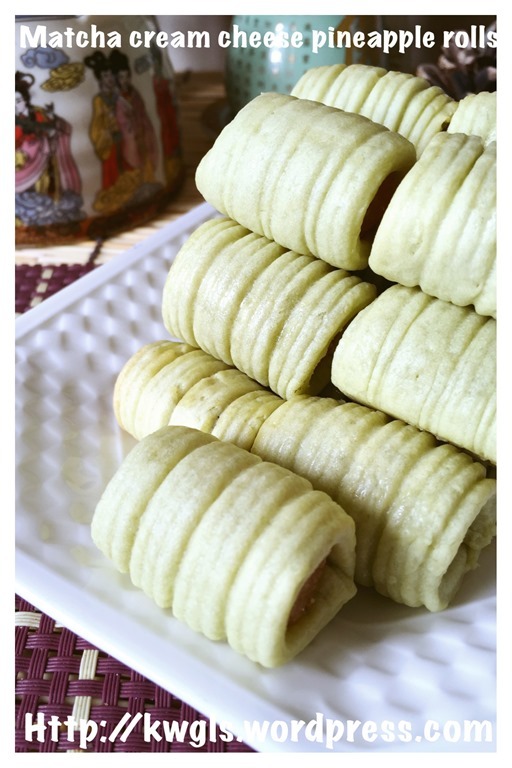 Transfer the pineapple rolls to the baking tray, egg wash if preferred and baked in the pre-heated oven of 160 degree Celsius for 12-15 minutes. For egg washing, hand beaten 2 egg yolks and add 2 big tablespoons of water and 2 drops of oil. Sift before application. 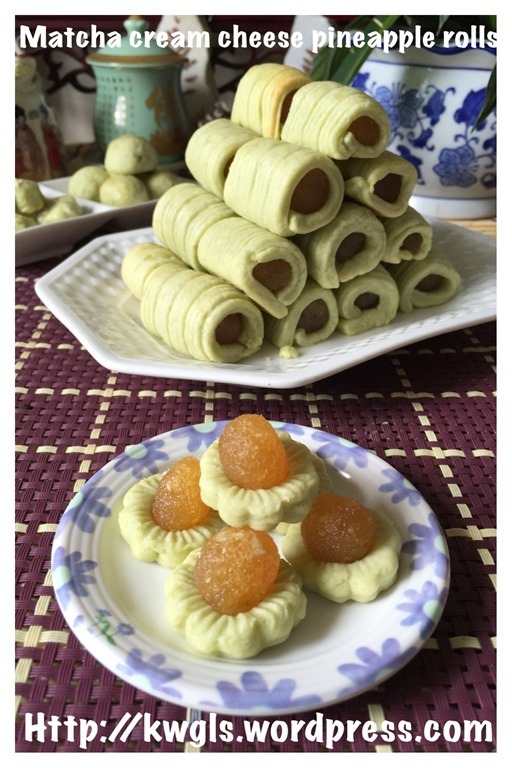 i believed this must be one of my ugliest looking batches of pineapple tarts .. 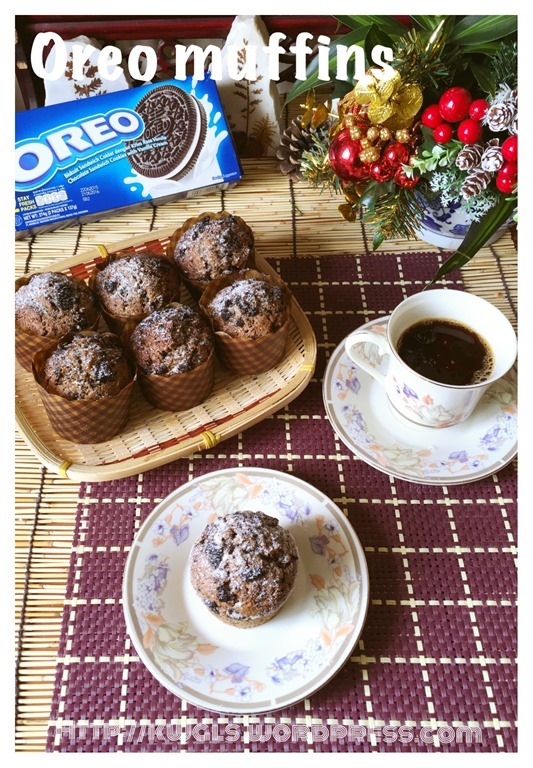 Though taste is good but I believed the look can be further improved. Do give it a try if you wanted a change this year.. 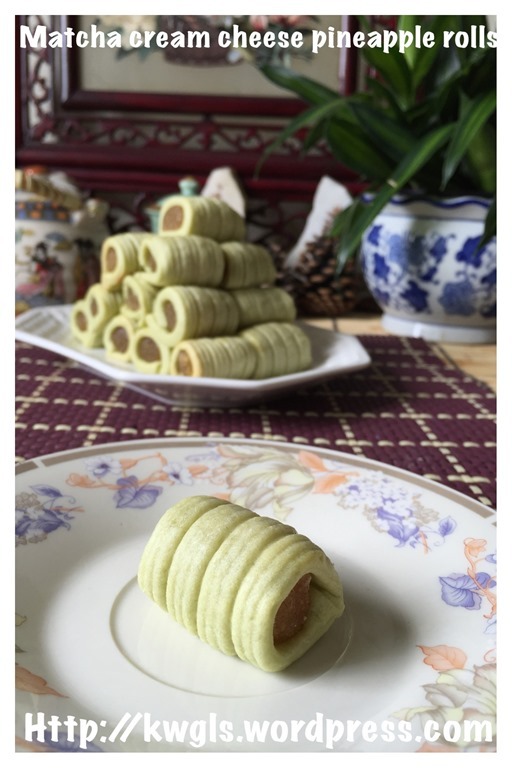 It is still melt in the mouth with tint of green tea flavour in the dough. It does go well with the pineapple jam. 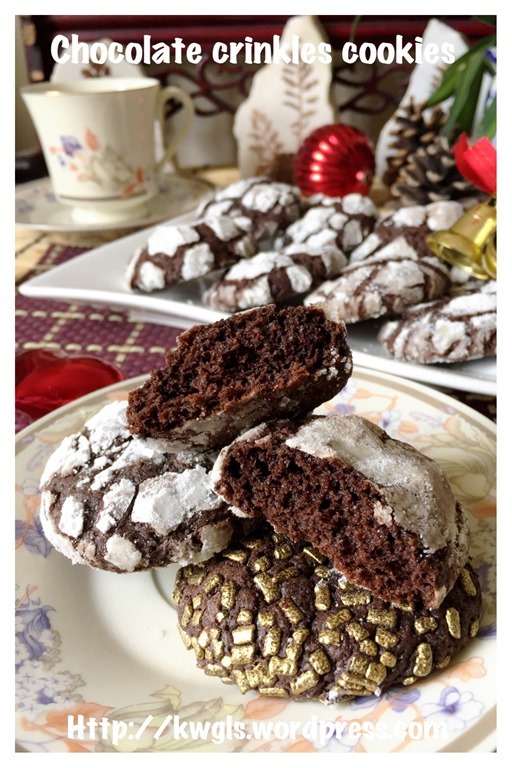 Members of Facebook Group is asking me for Christmas cookies recipe. 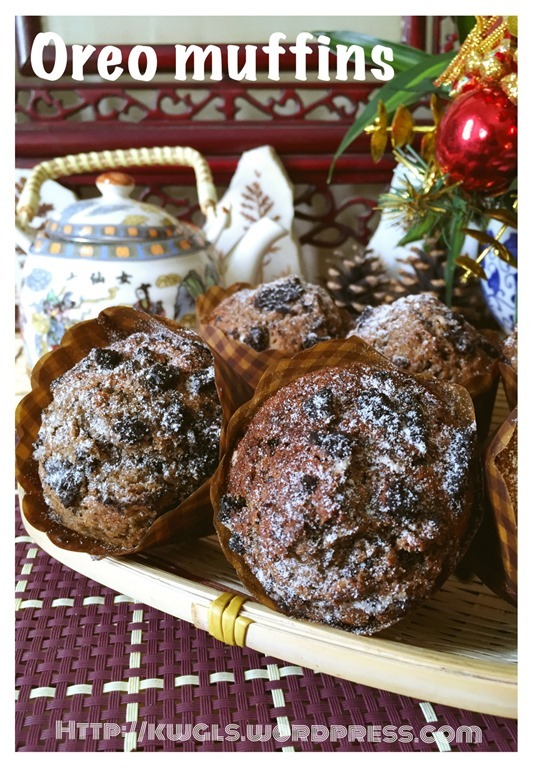 I do have some recipes in the previous year and i thought I might also share some new recipes this year. 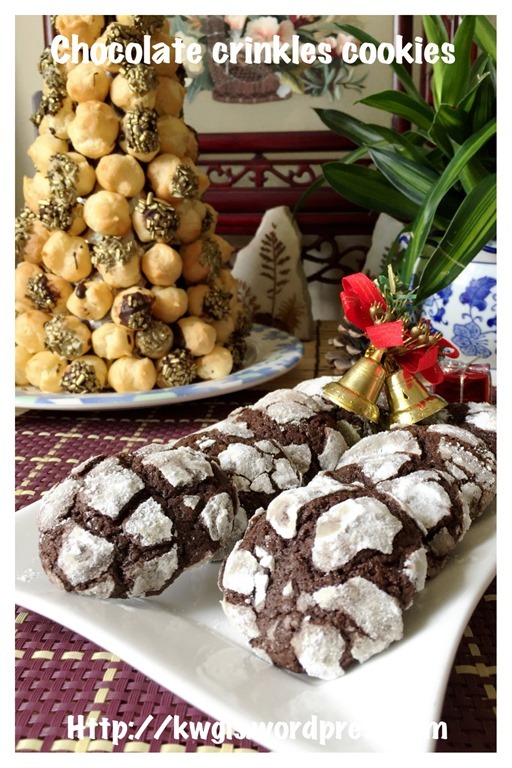 The recipe that i have chosen is chocolate crinkle cookies. 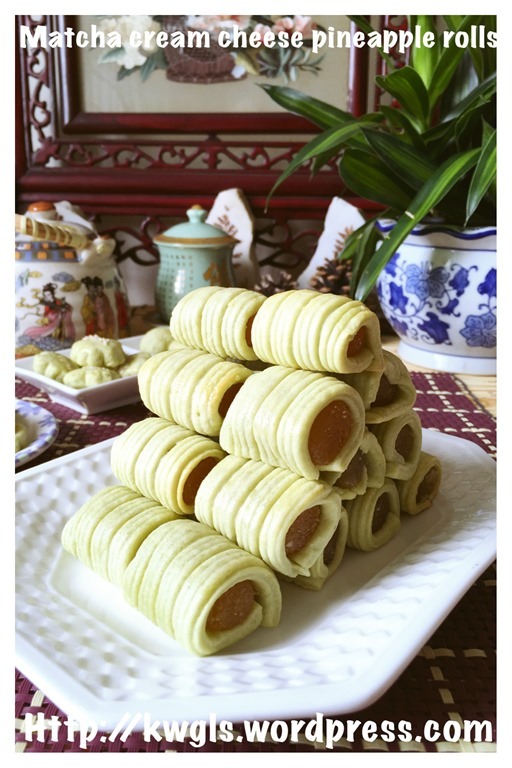 Hmmm, I do not know when this cookie become popular and it seems that in the recent months, i have seen a few posts of this cookies. 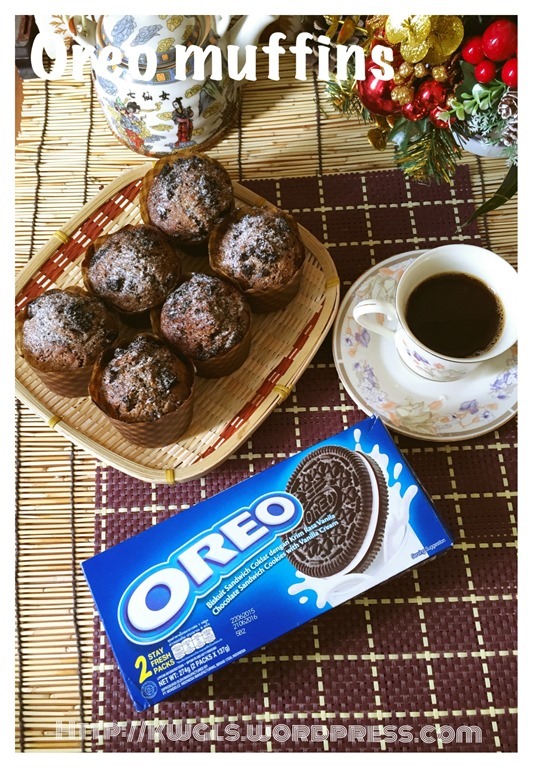 The cookies look rather different from other cookies. It has a unique outlook resemble a mushroom . This was resulted from the dough expansion during cooking. As it expands, a unique design is created. 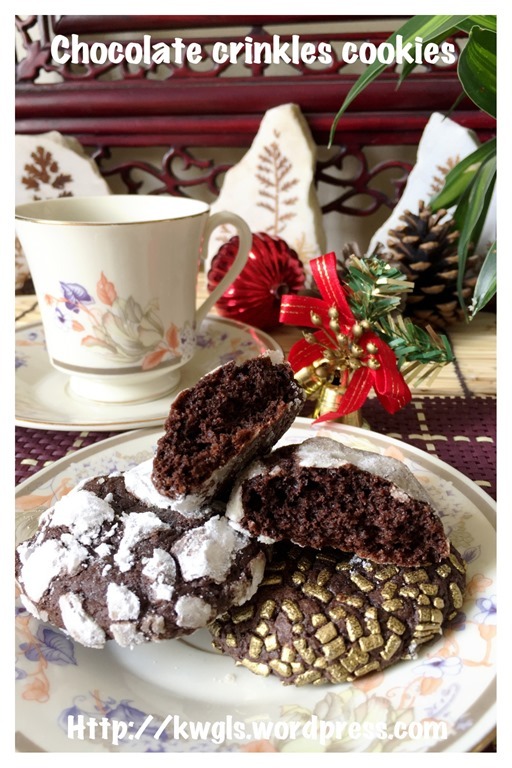 It is a dark chocolate cookies that are very chocolaty , soft and chewy in the inside and firm on the exterior. Personally, I think it is a rather presentable trendy gift to be given to friends.. Preparation is very easy. 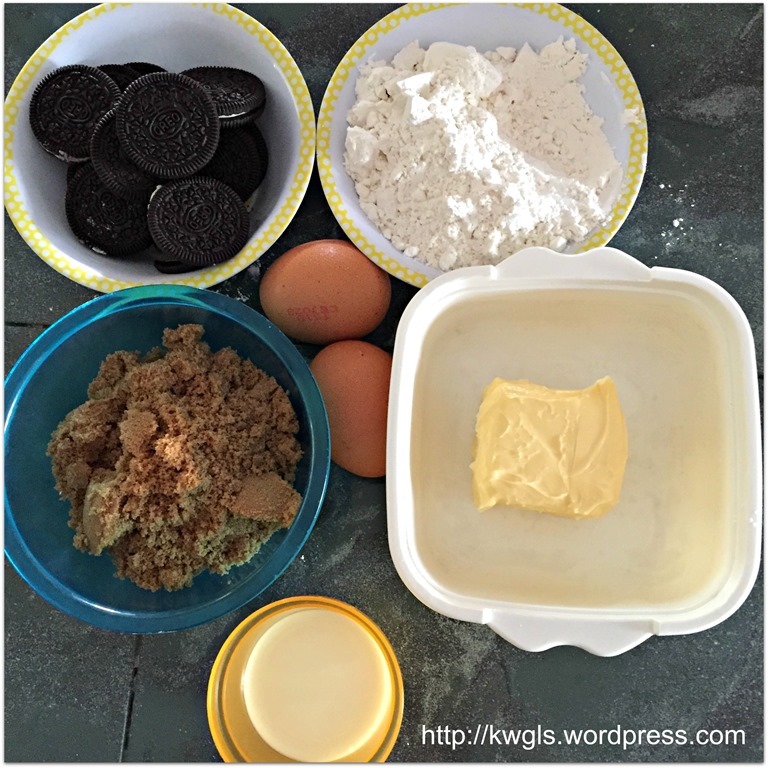 The rule of soft chewy cookies is not to over bake the cookies. 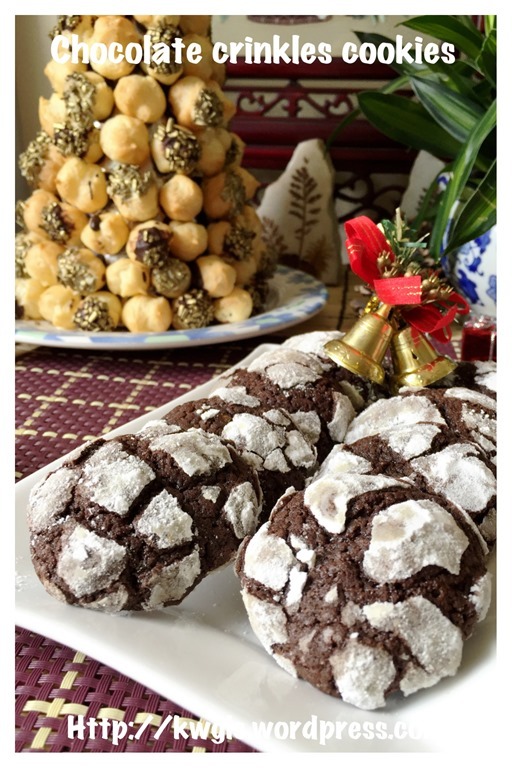 If you prefer crispy cookies, you will need to extend the baking timing. 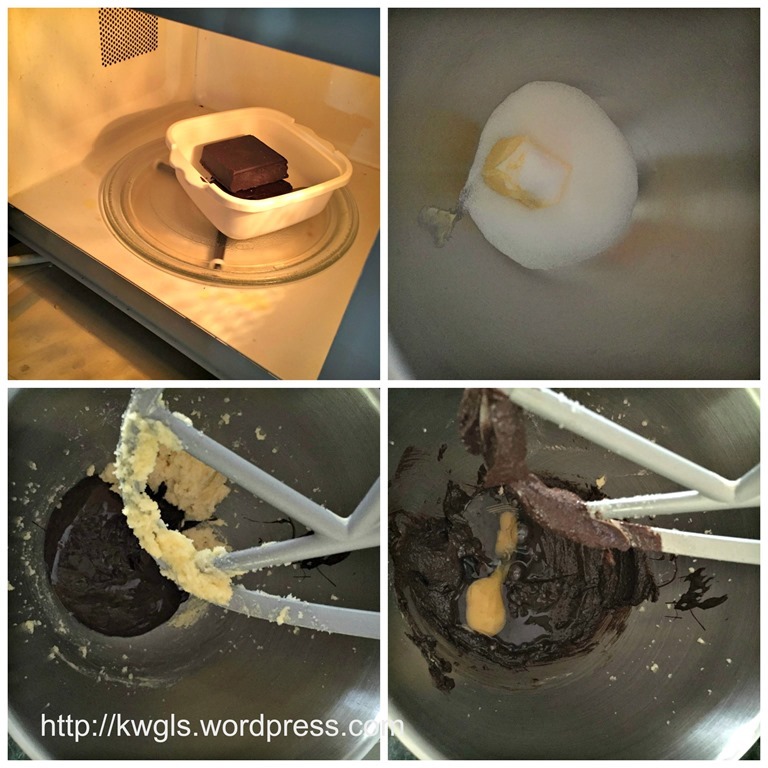 Microwave the cooking chocolate for 1 minute. Set aside for cooling. 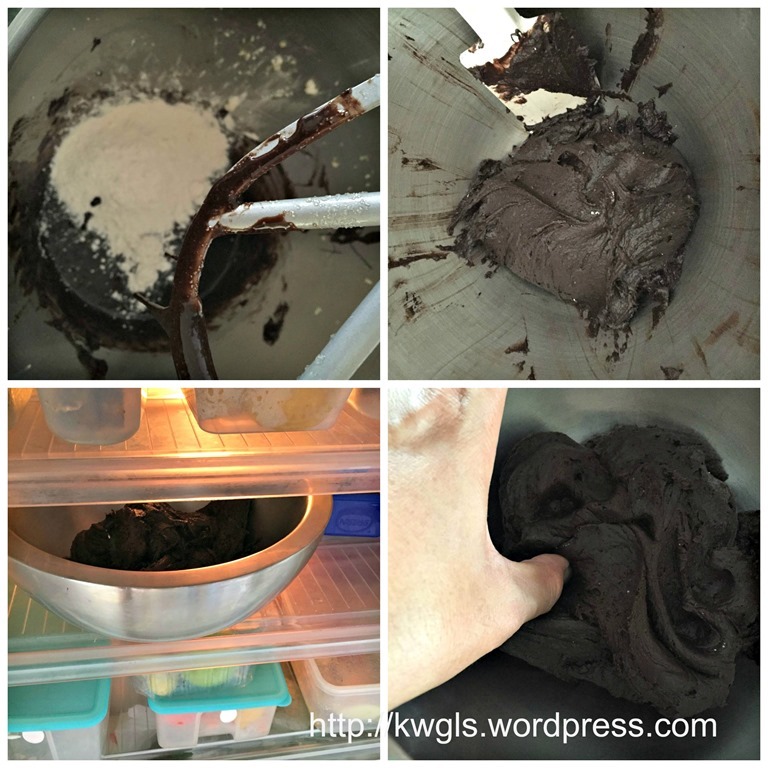 You can also melt the chocolate using ban marie method. 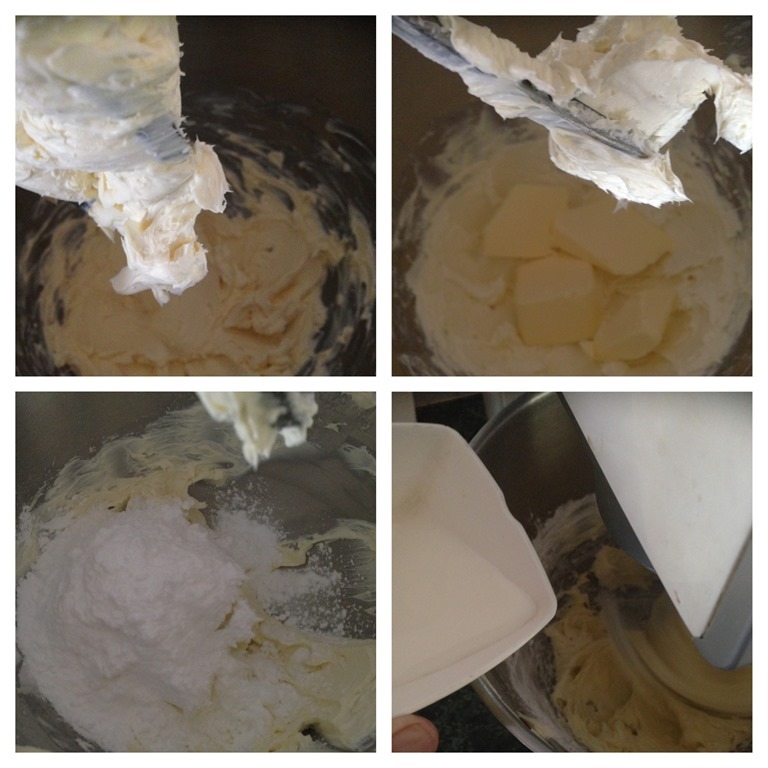 In a stand mixer, cream the butter and sugar until light and fluffy. Add the melted chocolate follow by the eggs. Beat until well combined. Sift in the flour and baking powder, use the machine lowest speed and stir until well combined. Chill the dough in the fridge until the dough is firm enough and does not stick to your hand . Pre-heat the oven to 165 degree Celsius. 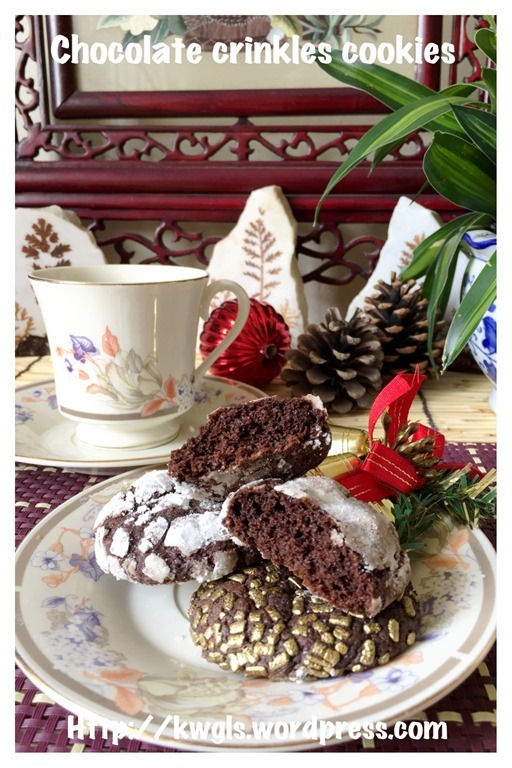 Take about 1/2 tablespoon of the dough, use hand to shape round and put it in the bowl of icing sugar. 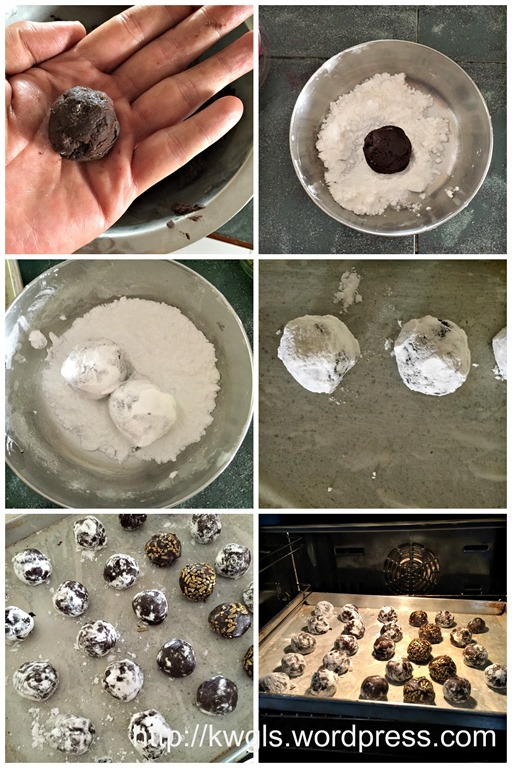 Roll it and let the dough coat as much icing sugar as possible. Transfer to the baking tray and leave adequate space for expansion. (at least 5-6 cm apart) Bake in the pre-heated oven of 165 degree Celsius for 8-10 minutes or until the edges are slightly firm. 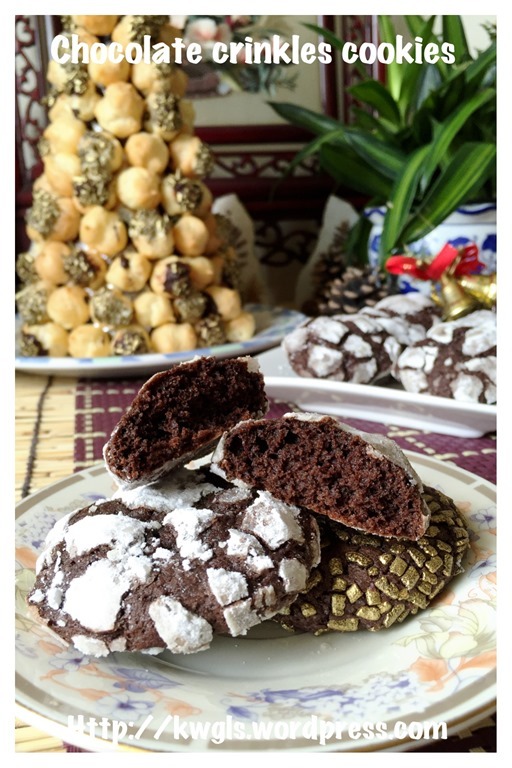 This cookie is addictive and definitely suitable for a chocolate lover. 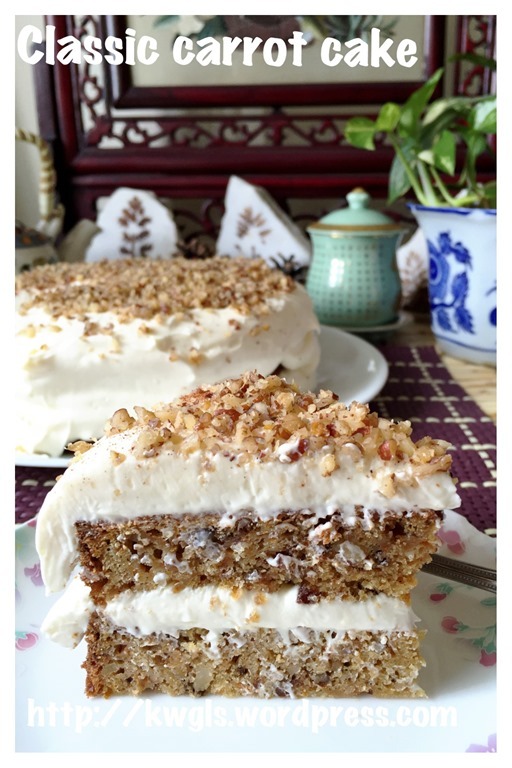 I have already cut the sugar by 20% in this recipe and I will not recommend any further reduction. 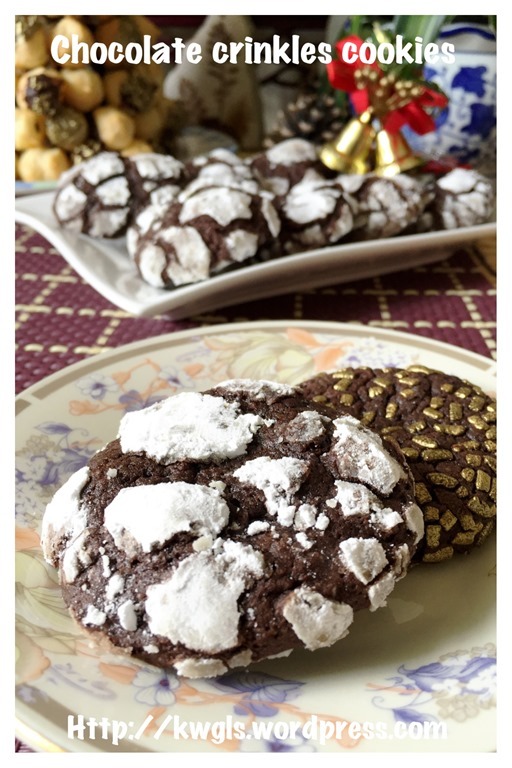 I hope this will benefit those readers who are looking for some Christmas cookies. 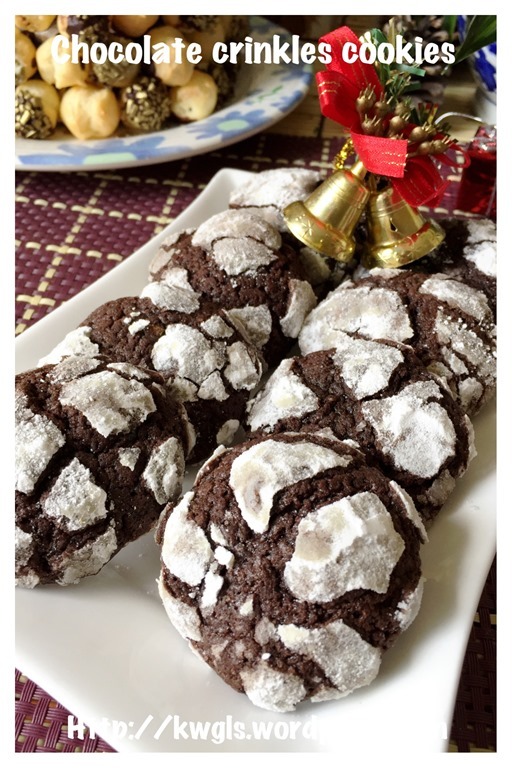 You can easily modified this recipe by adding some red colouring and become a red velvet crinkle cookie. 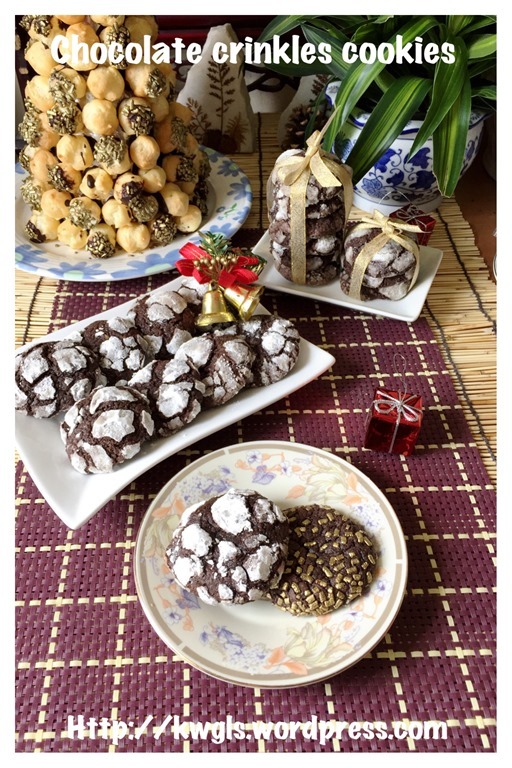 There is no need to ask me when is Winter Solstice festival, it is always 3 days before Christmas , on 22nd December each year. 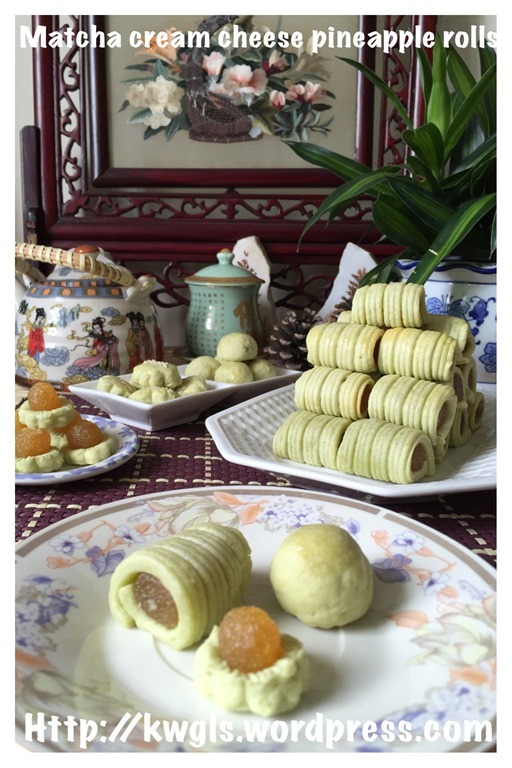 I am sharing this post earlier because I just want to fulfil my blogging agenda of sharing one tang yuan recipe per year. 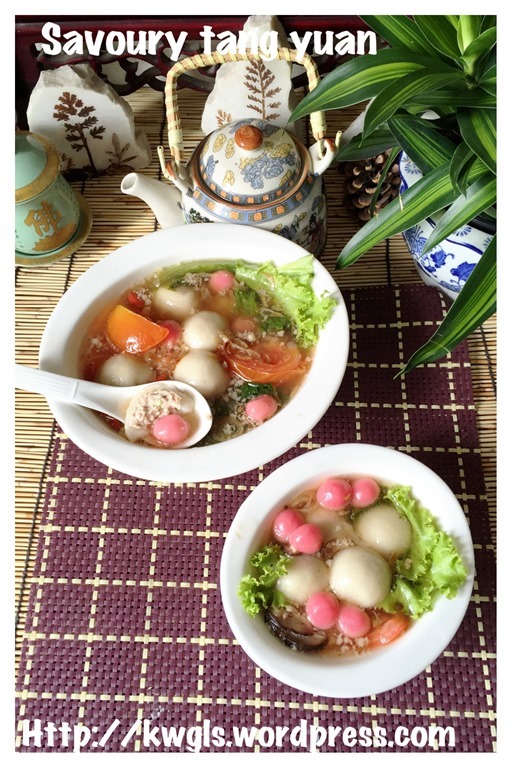 In the first year, I have shared the basic tangyuan recipe in this post: Time To Celebrate Winter Solstice–Chinese Tangyuan or Glutinous Rice Balls . 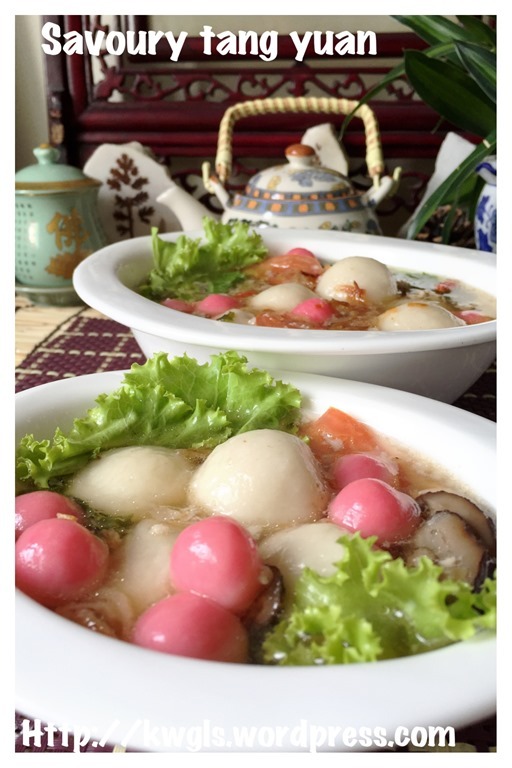 In this post, i have also shared about the background of tangyuan. 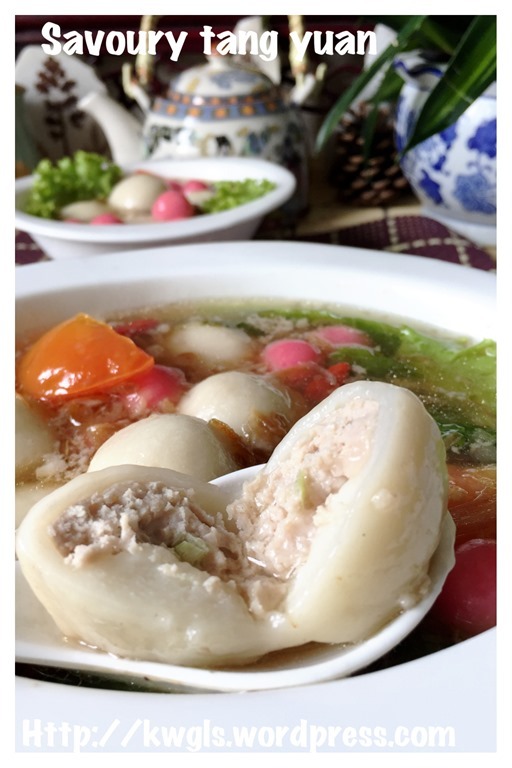 This year, I have decided to share a savoury tangyuan recipe which my late parents used to cook though the childhood version do not have any meat fillings. 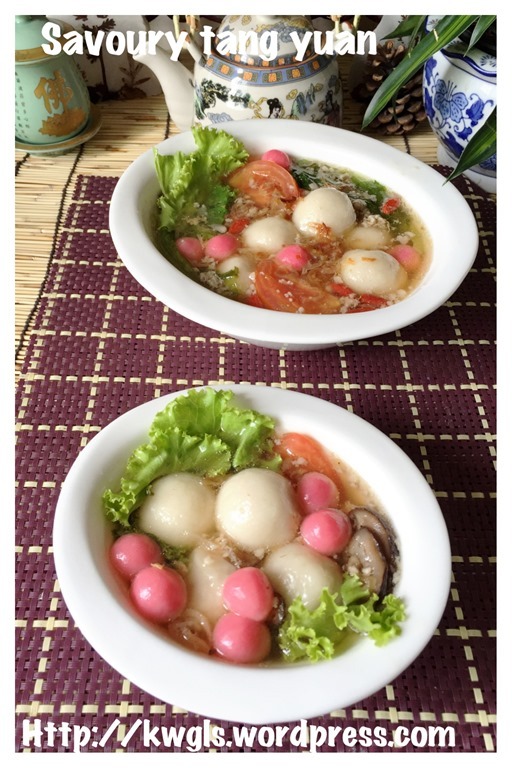 If you are unsure how it tastes like, just imagine that the tangyuan is a substitute of noodles in kway tiao or bee hoon or noodle soups. 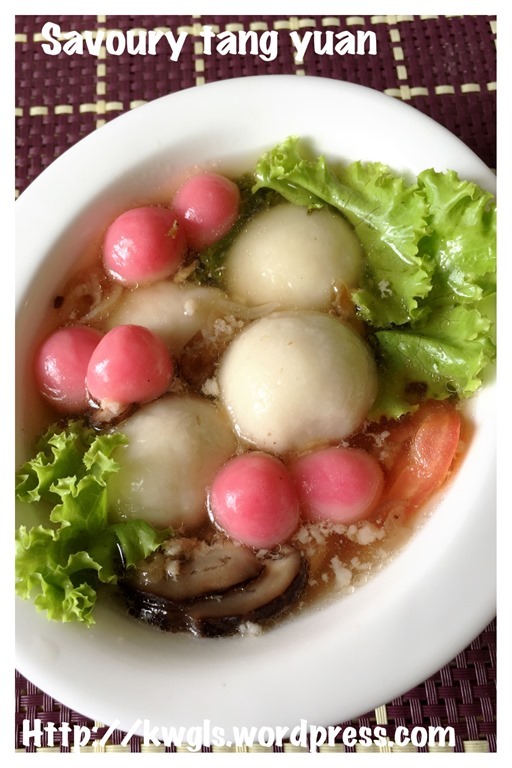 It is just like Fuzhou fish balls except that it is not as springy and fishy as the fish balls . 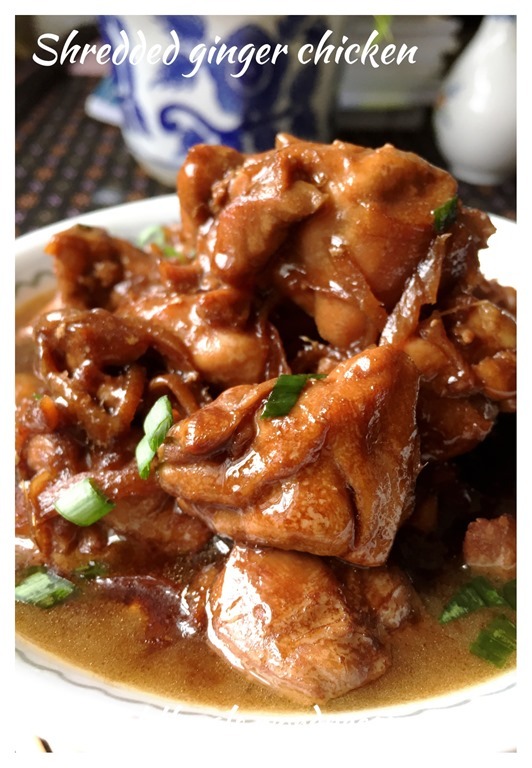 Put the minced meat, chopped spring onion and the seasonings (salt, white pepper, sugar, dark or light soya sauce, sesame oil, Chinese cooking wine) in a bowl, use a chopstick to stir in one direction until well mixed. If preferred, you can add in 1/2 tablespoon of corn starch to enhance the binding . Marinate the meat for at least 1/2 hour. 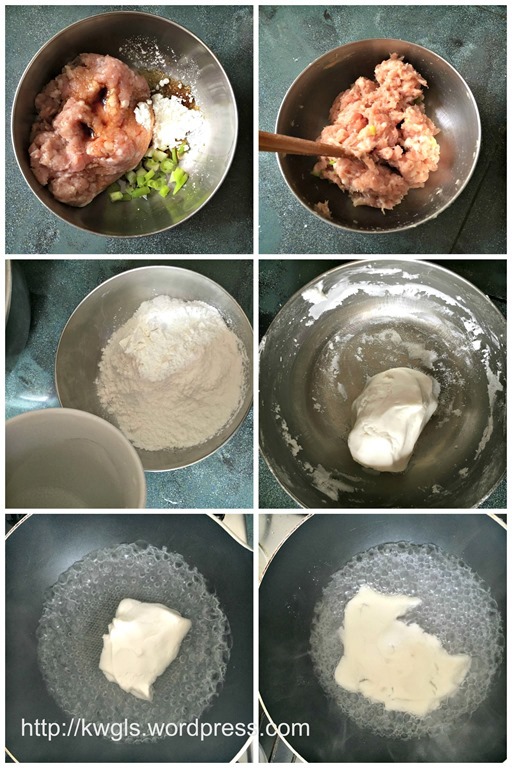 Take out about 2 tablespoons of glutinous rice flour, put 1 –1.5 tablespoons of water, stir and knead until it form a soft dough. Flatten the dough and put in a pot of hot boiling water. Once it floats up , drained. While it is hot, transfer the cooked dough to the remaining flour in the mixing bowl. Gradually add in the remaining cold water and use hand to knead until it forms a pliable dough. 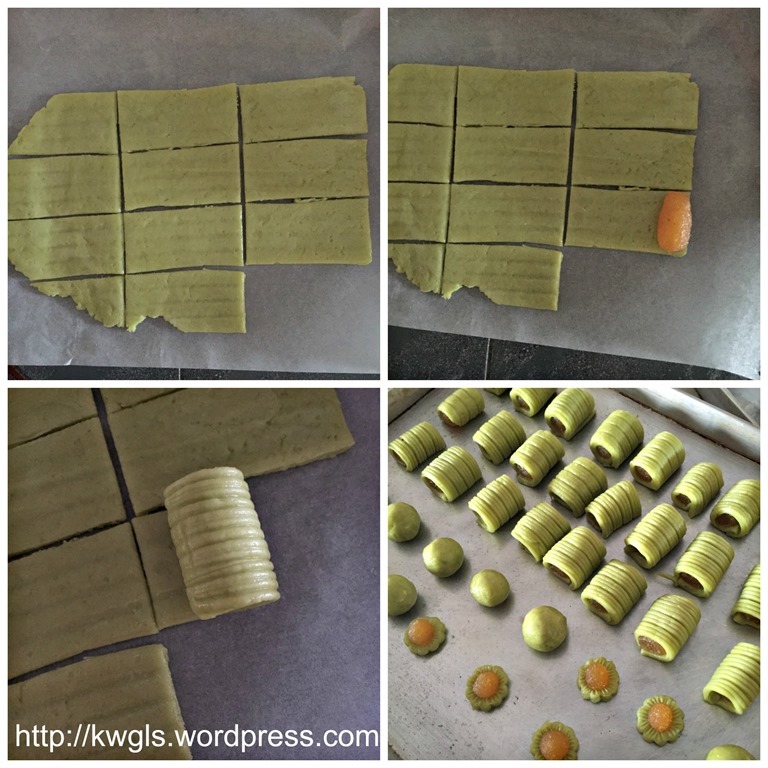 Shape the dough into a long stripes and cut the dough into 1.5 cm cube size. 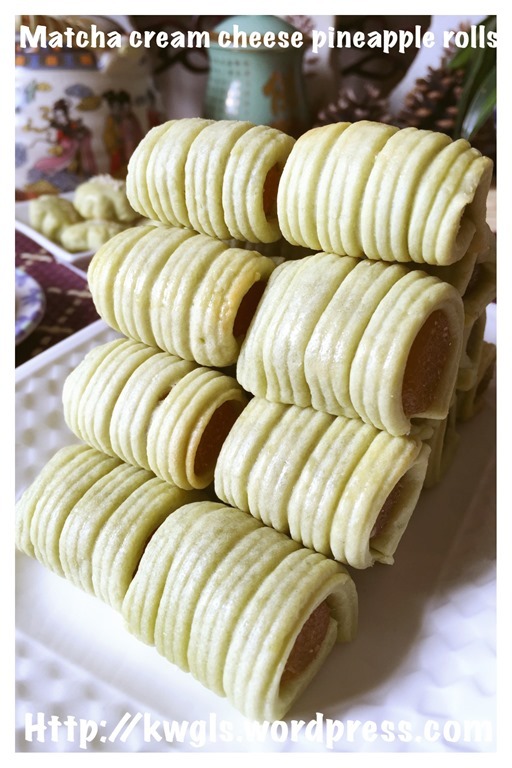 Take a dough, shape round, flatten it and put a teaspoon of minced meat in the centre, seal the edges, shape round and put in a tray lightly dusted with some glutinous rice flour. Perform the same for the other 14 portions. This step is optional. 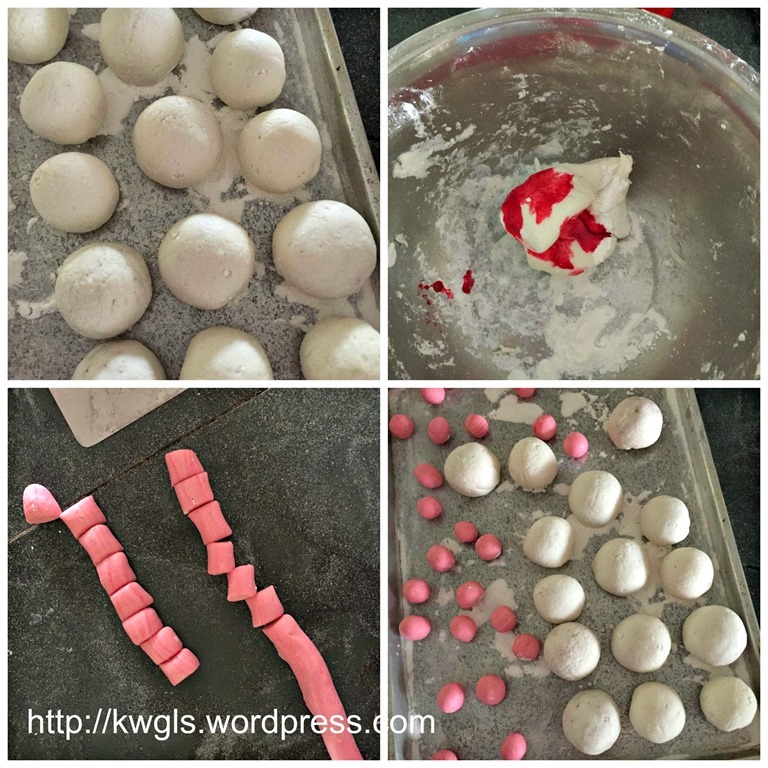 If there are left over dough, you can add some red colouring, knead until the colour is consistent and shape into smaller round balls. 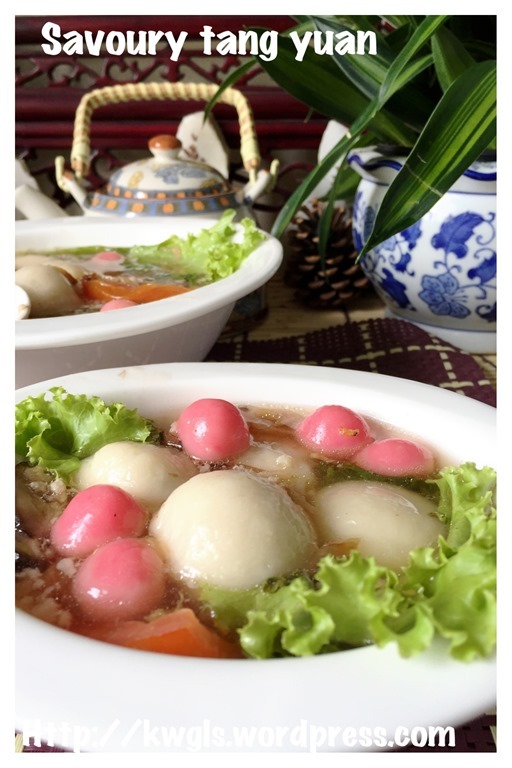 Please ensure that the tangyuans do not touch each other and if there is a lot, you may want to cover both the dough and the completed tangyuan with a piece of wet cloth . 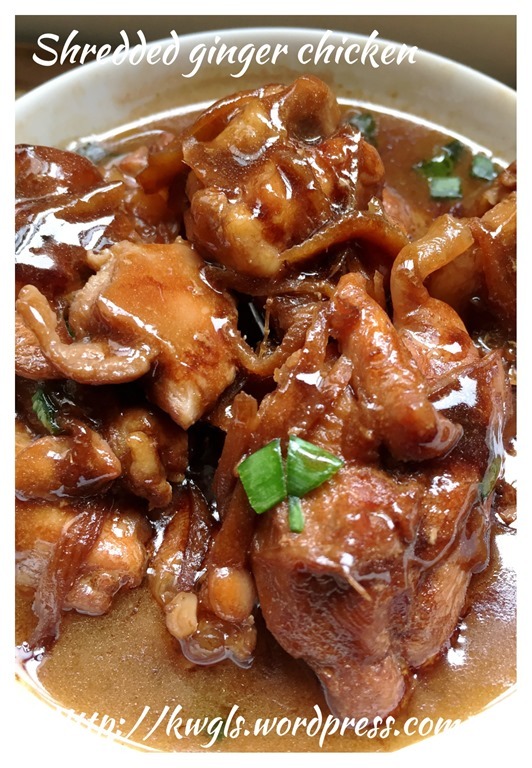 In a pot, put 1 tablespoon of oil and sauté the garlic, dried shrimps and shitake mushroom until fragrant. 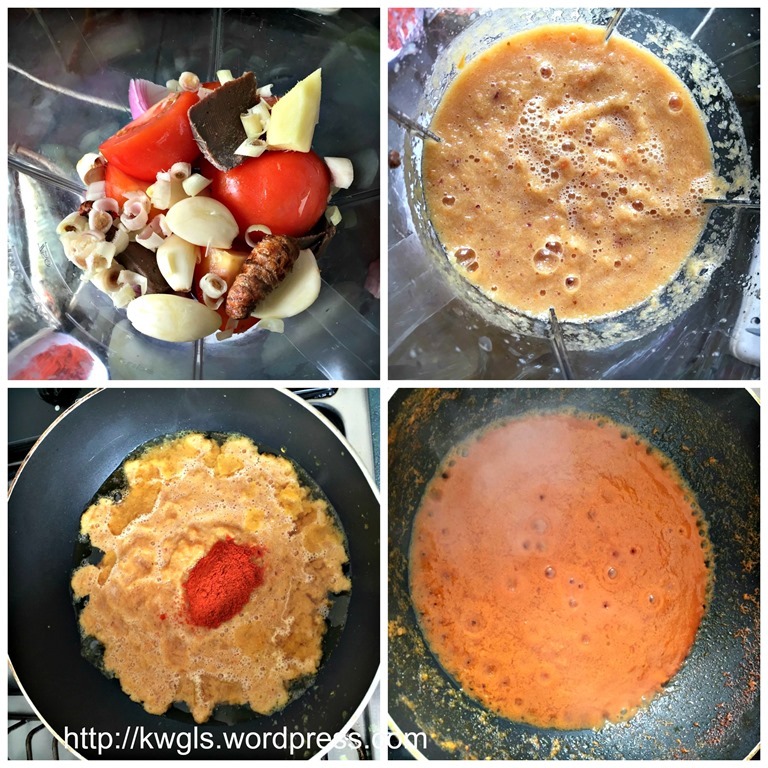 Add about 1 litre of water or meat broth add the minced meat and scallops. Bring to boil and once it boils, lower the heat to medium and let it simmer for 15-20 minutes. 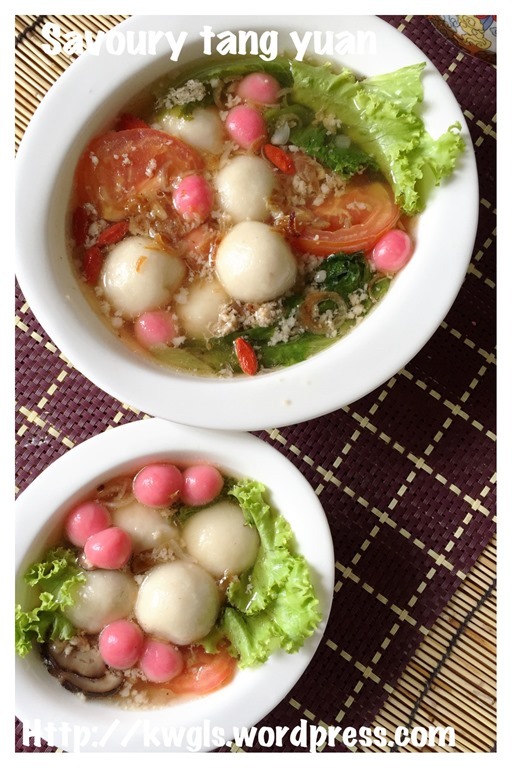 Add the tangyuan and once the tangyuan floats up, add the seasonings (salt, white pepper and sugar), tomato and your preferred greens. Simmer for o1-2 minutes and off the heat. 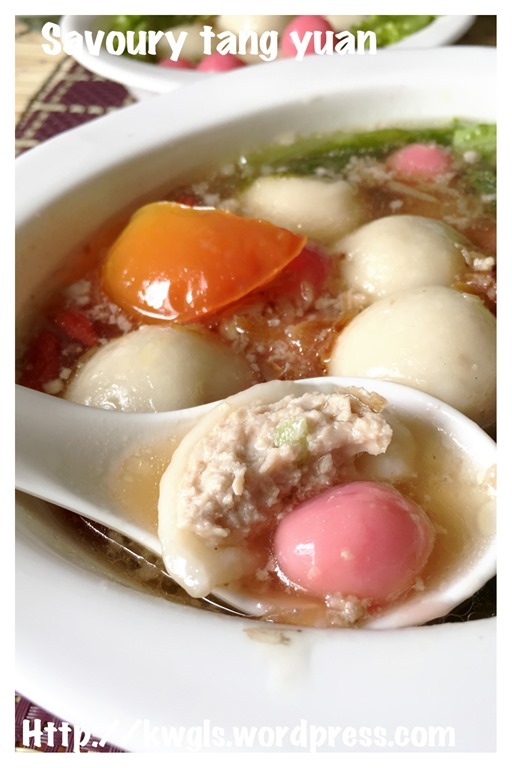 The tangyuan is best served hot immediately after it was prepared. 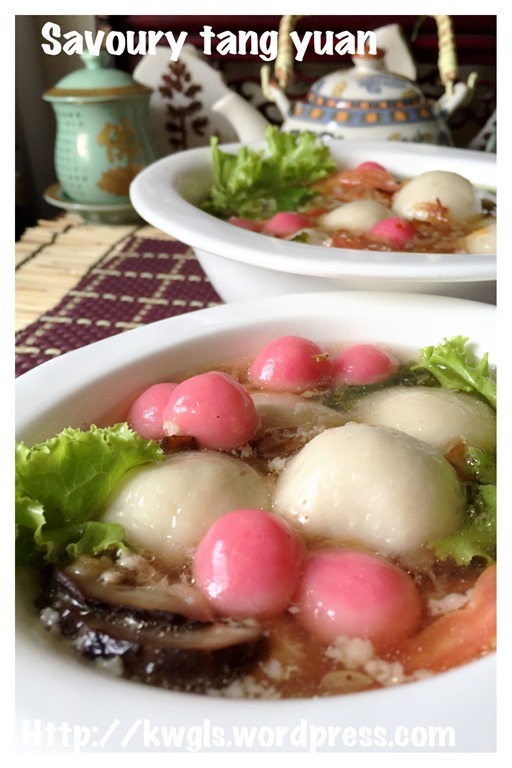 If you have never eaten this type of tangyuan before, do give it a try. 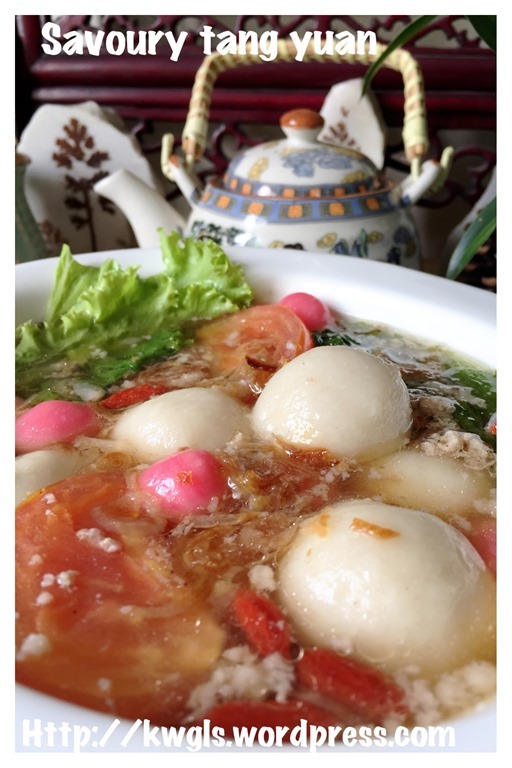 It is tasty and there are many options in the soup. Feel free to add the ingredients that suits your taste buds. 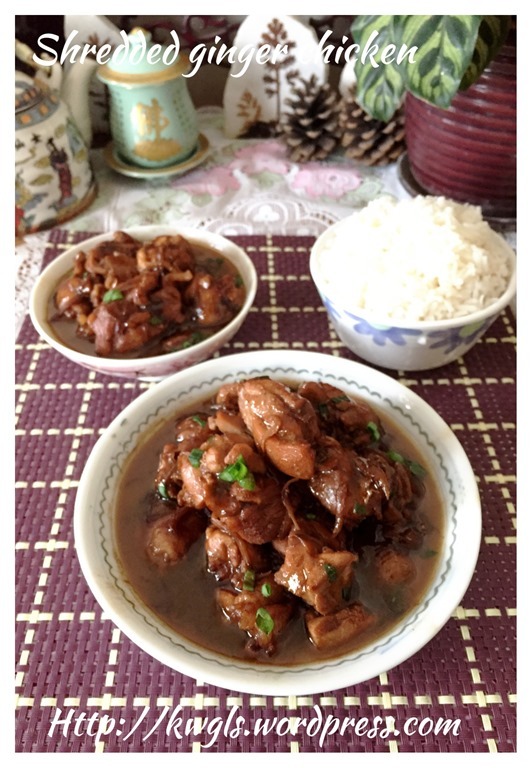 This is another dish that I need no reference to other recipes. it is such a common dish in our household. 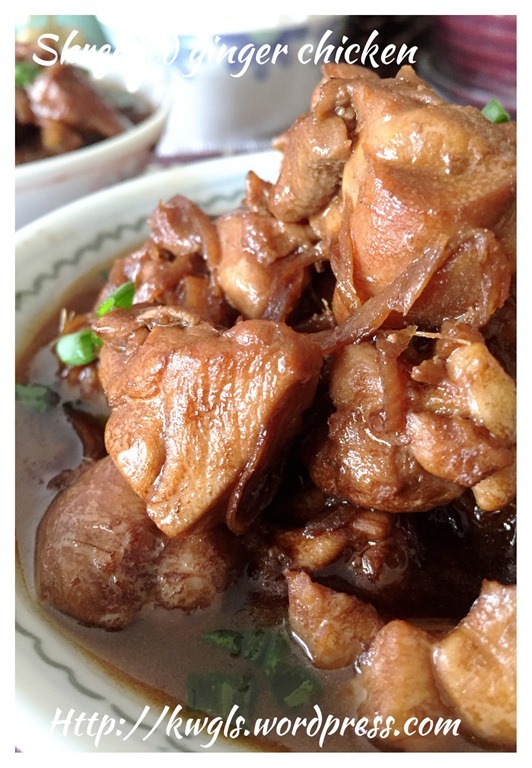 My late mum always cooked this dish when I was young, at times 2-3 days a week, be it chicken or pork.. 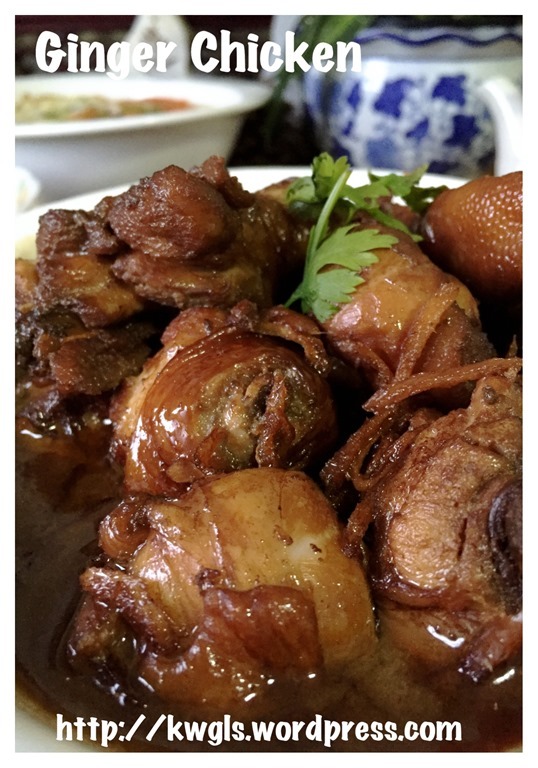 So to me this dish is a dish that brought fond memories and I have never get tired of this dish until today .. 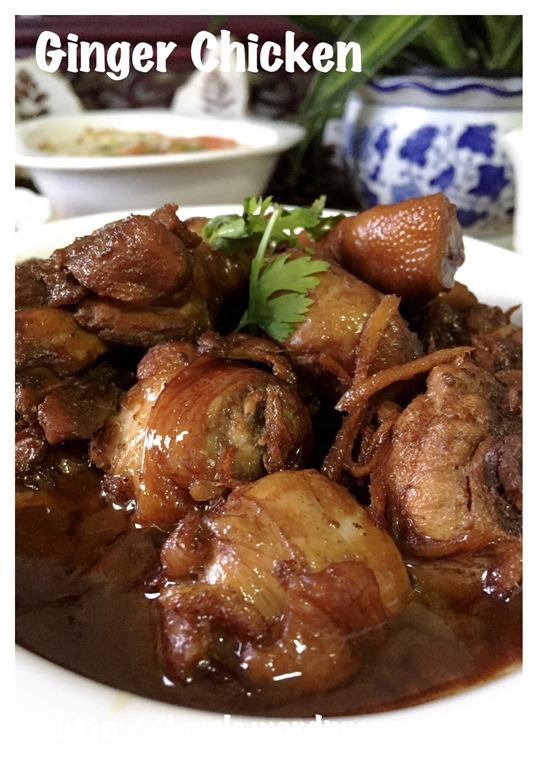 I blogged this recipe in honour of my late mum and as a record of my meat recipes. 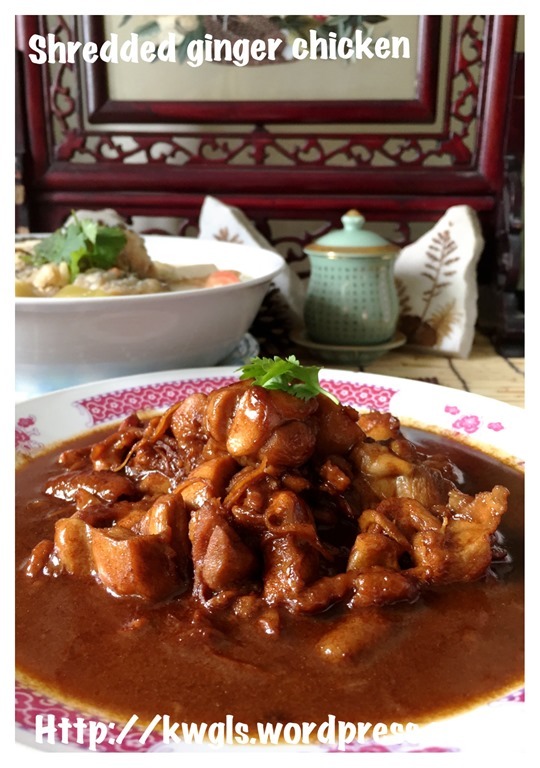 This is a common household dish that need no further elaboration and I believed every granny will have her very own recipe for the comfort dish. 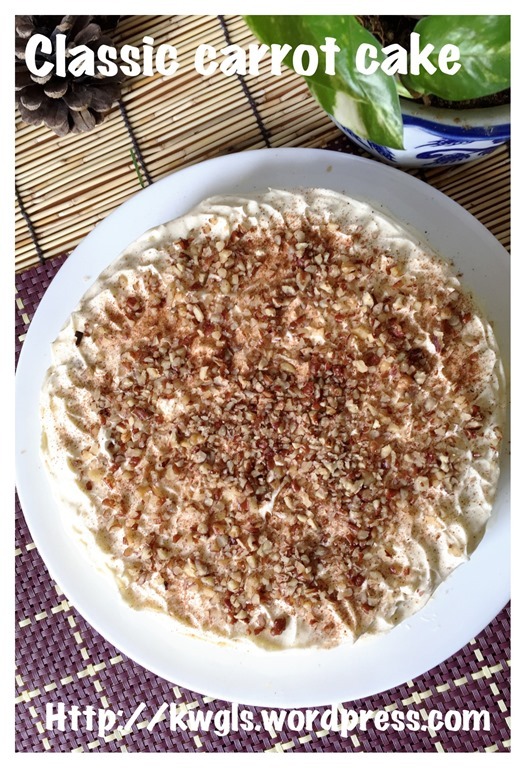 Of course what I am sharing is my mum’s version and it is a quick and fast recipe. Cooking this dish is not difficult. The only point to highlight is there must be adequate ginger and the shredded ginger should be sautéed until aromatic. All the procedures that follow are as simple as ABC and nothing much to shout about. De-skinned the chicken if preferred. Keep the skin. 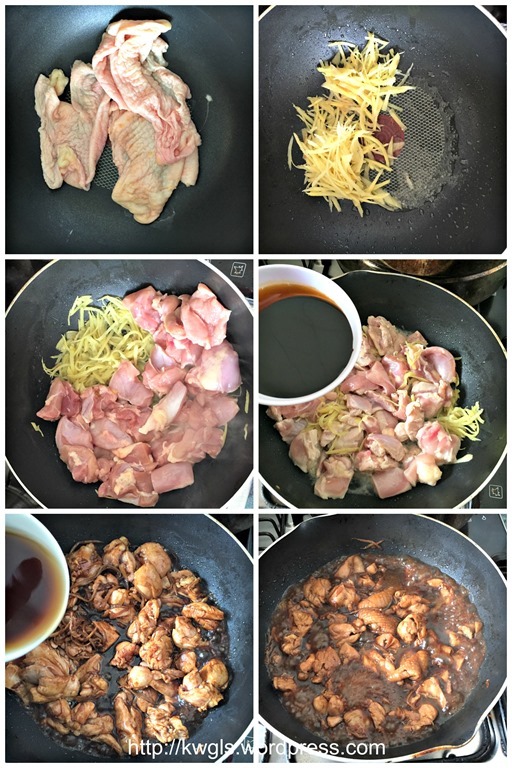 In a hot pan, pan fry the skin until all the chicken fats are excreted, throw away the skin and use the chicken fats and the sesame oil to sauté the ginger under medium heat until aromatic. 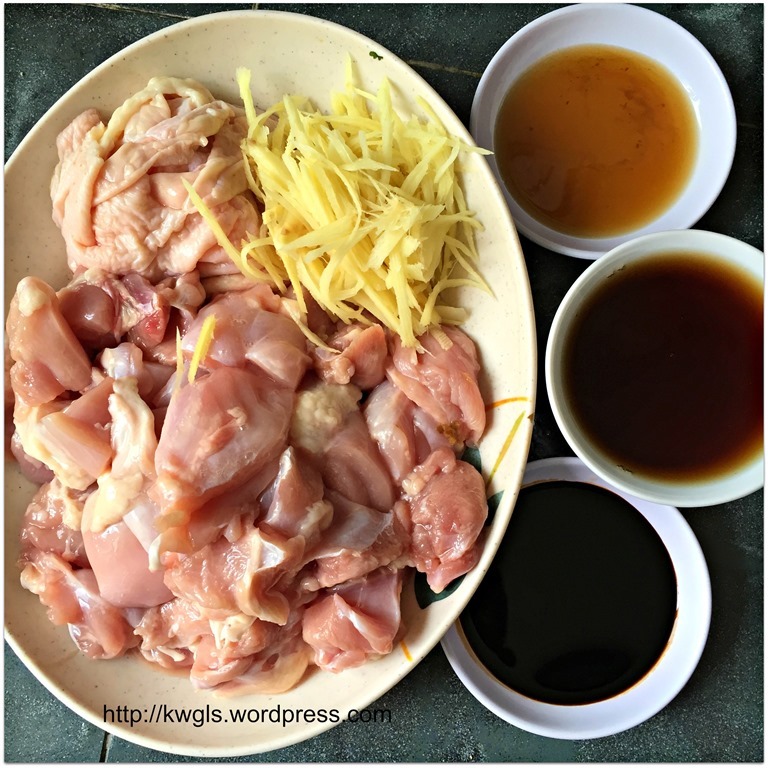 If you do not like to reuse the chicken skin or you do not have the habit of de-skinned the chicken , use a tablespoon of cooking oil and sesame oil to sauté the ginger. Add the chicken chunks, pan fried until the chickens exterior turn beige. Add the dark soya sauce and stir fry until well combined. Add some water adequate to cover 1/2 the height of the chicken and bring to boil. Once it boils, lower the heat to medium and let it simmer until the chickens are soft. If the water dries up too fast, add more water. Once the chickens are soft, add the seasonings (sugar to taste and pinches of salt) and the cooking wine. Stir until well combined, off the heat and best served with some steaming white rice. 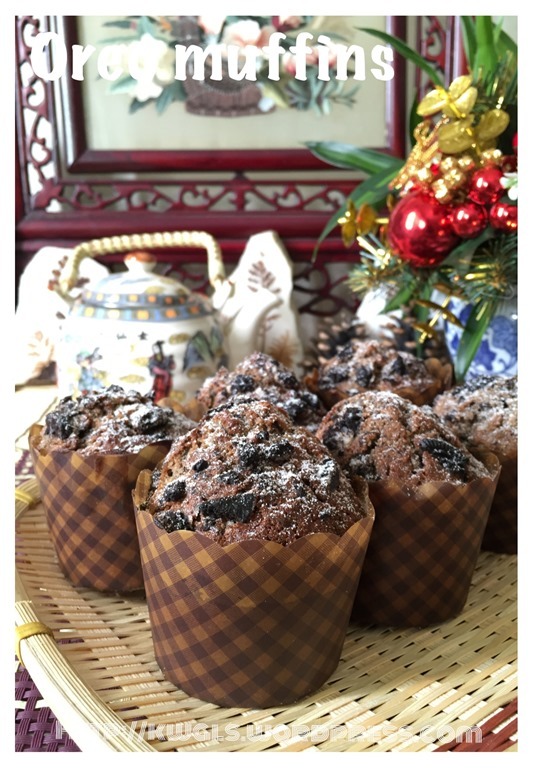 This recipe will be captured under simple household dishes series. 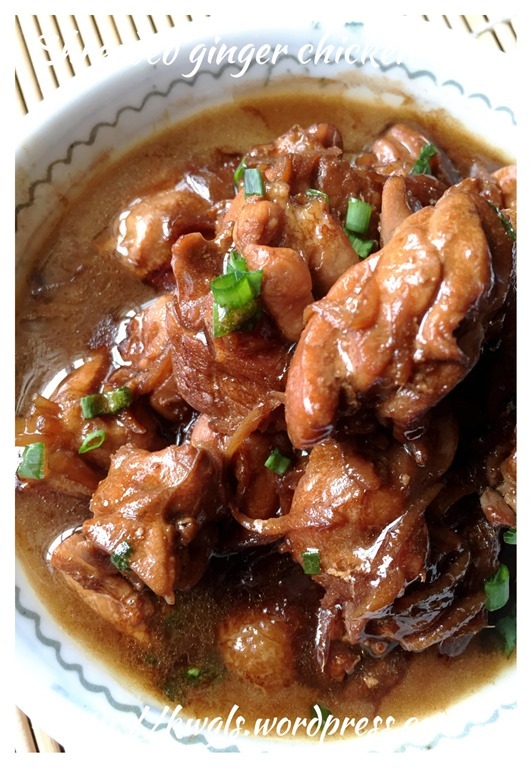 If you do not have a chance to learn from your family elders , you may want to give this recipe a try.. Lastly, if you are looking for those mixed vegetable style of ginger chicken, they have added starches to thicken the sauce. You can easily preparing that by mixing 1 tablespoon of corn starch mixed with 3 tablespoon of water. 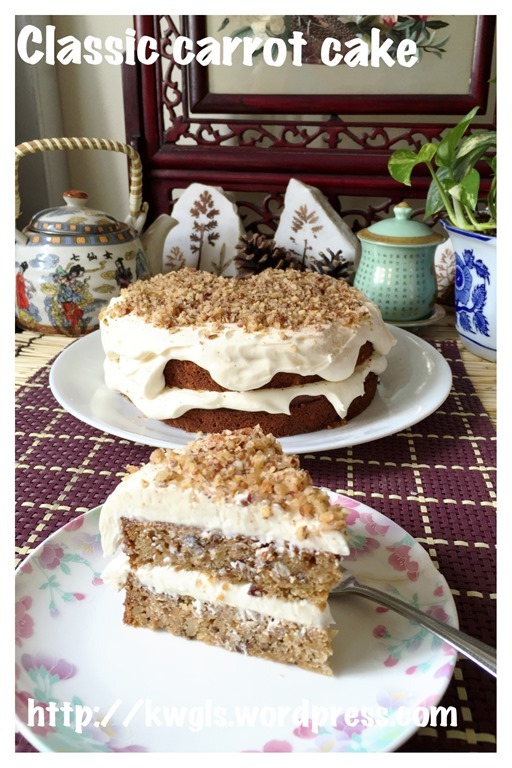 I have prepared this carrot cake twice using two different recipes.. 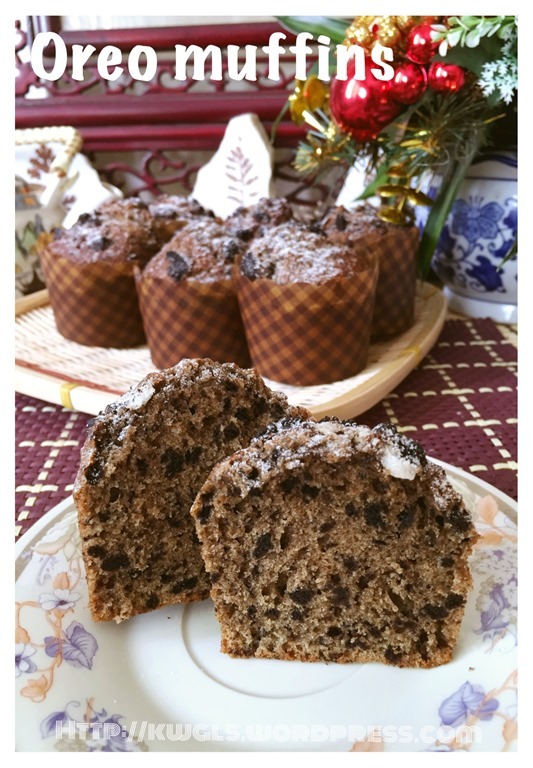 The first recipe is from the net and it has the shape but i did not like the texture and I do not think my readers will like this type of dense texture.. It was very dense possibly because golden syrup was used and it took very long hours to bake and hence the crust is rather thick. 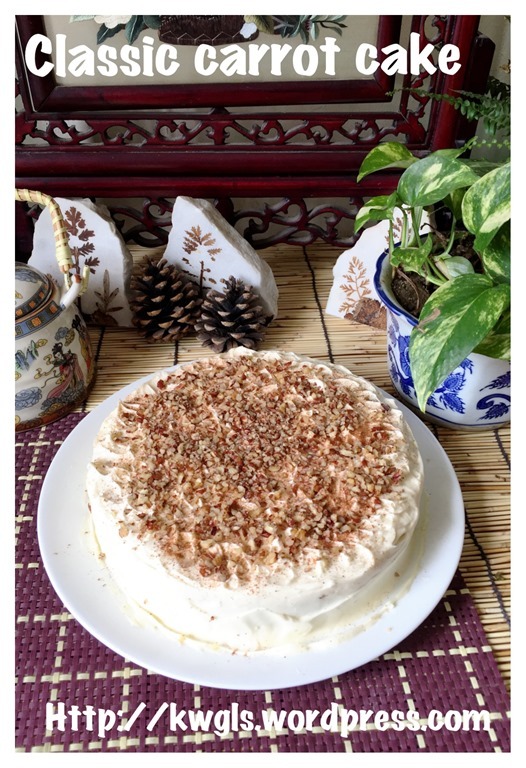 Having said that, my family members still finished all possibly because of the delicious cream cheese frosting. 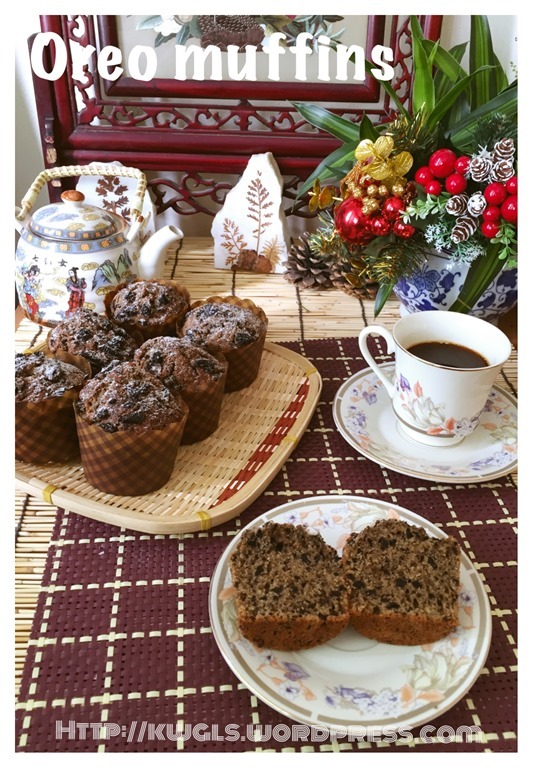 Therefore in this post, there are two sets of images but what I am sharing is my newer and better recipe. 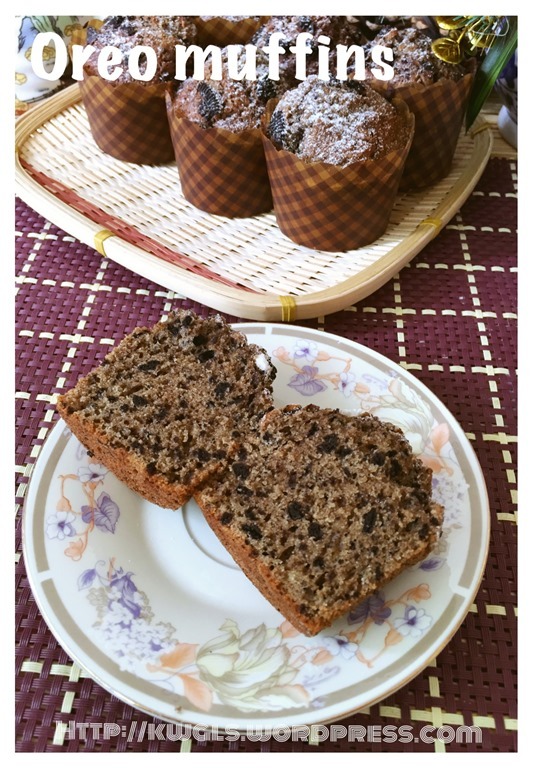 For traditional cake, I have opt to use traditional rugged style of decoration and I never believed that it must be decorated with carrots made from fondant icing or butter cream.. By the same logic, is it not a sponge cake needs to be decorated using eggs or chocolate cake must be decorated with pieces of chocolate? 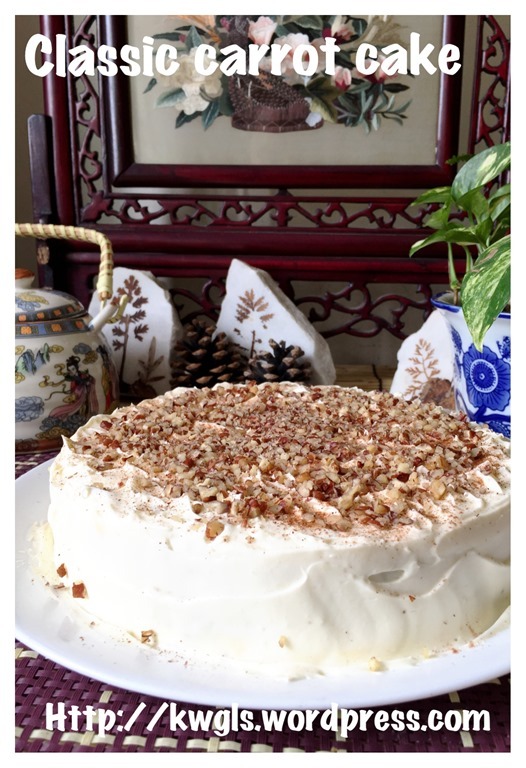 Well, it is up to reader to decide but I have used some chopped pecan nuts for the topping which in my humble opinion is elegant and goes well with the cake. Pre-heat the oven to 170 degree Celsius and lightly grease a 8” diameter round baking tin. 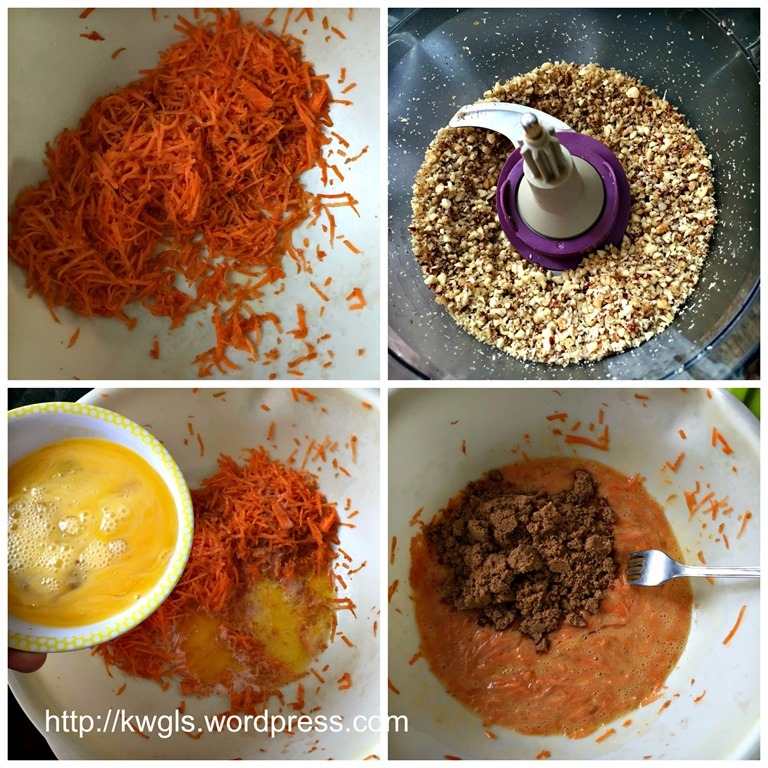 Shred the carrots until fine and blend the pecan/walnuts until coarsely. Set aside. In the bowl with shredded carrots, add the milk and lightly beaten eggs. Stir until well mixed. Add the brown sugar , stir until well combined. 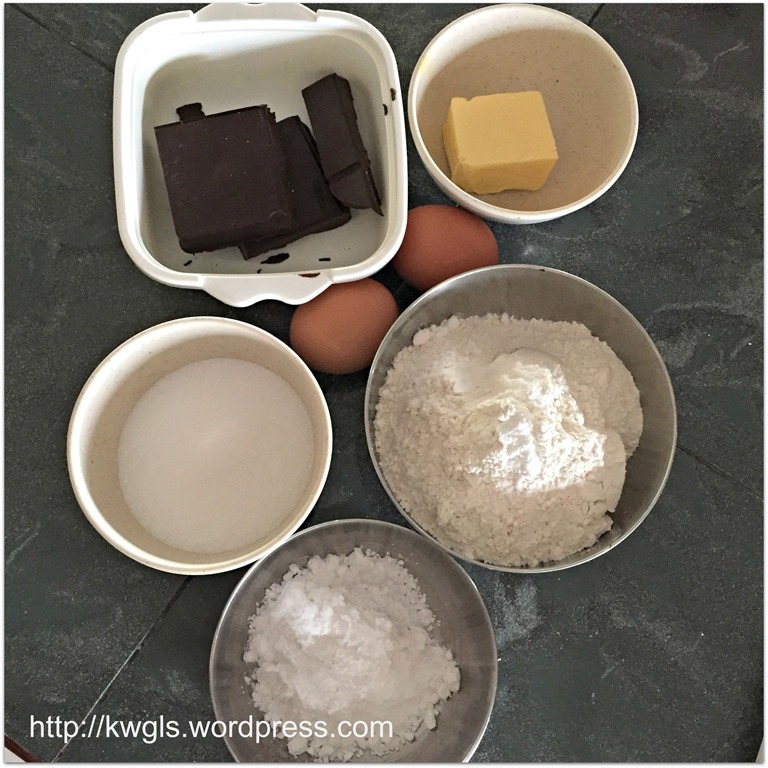 Sift in the dry ingredients (self raising flour, plain flour, cinnamon powder or mixed spices) into the wet ingredients bowl in three stages. Use a fork to swiftly and quickly fold it until well mixed. 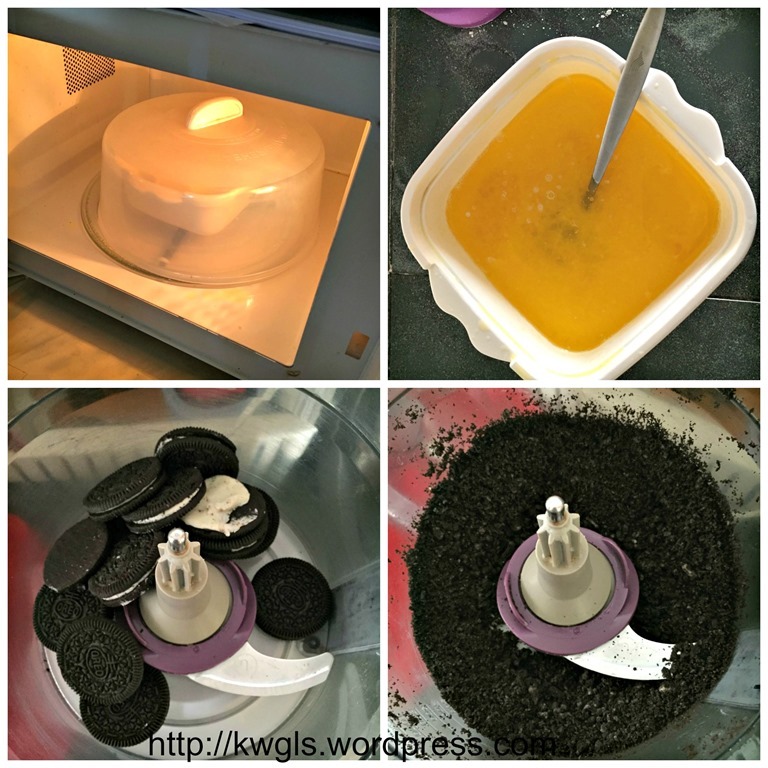 Transfer the batter to the lightly greased tin, level and bake in the pre-heat oven of 170 degree Celsius for about 45 minutes or when a skewer inserted comes out clean. 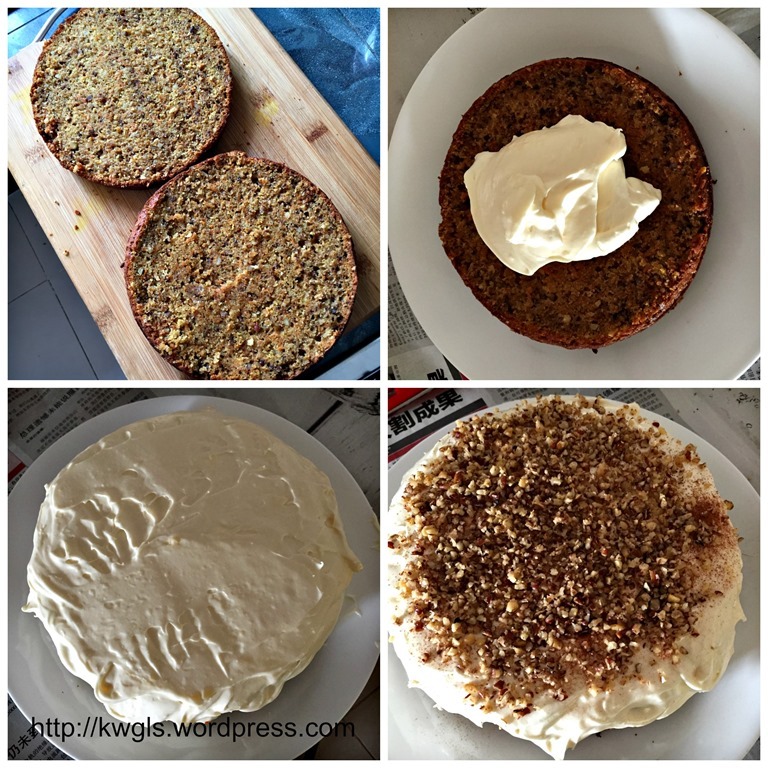 Cool the cake completely before proceeding to the next step. Beat the cream cheese until light and fluffy. Add softened butter, beat until well combined. Add icing sugar follow by the milk and lemon juice. Beat for 2-3 minutes until well mixed. 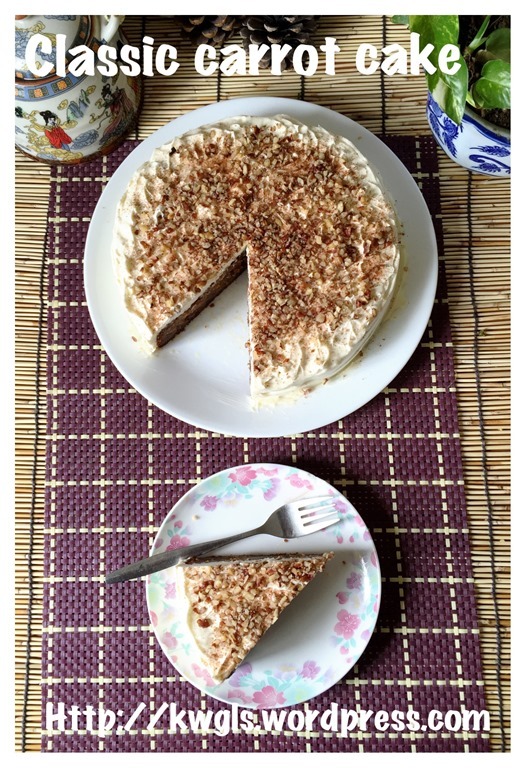 Take out the cake and cut into two equal halves. If there is a doom on the cake, slice it off if preferred. 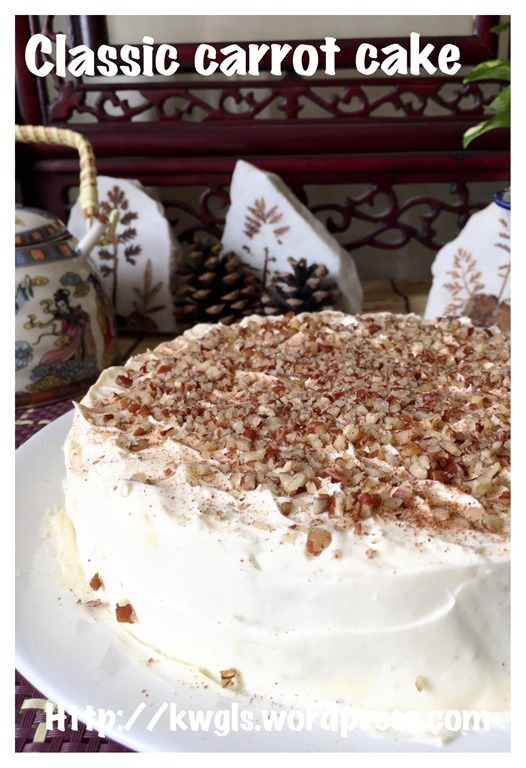 Apply generously the cream cheese frosting on top and the side of the cake. 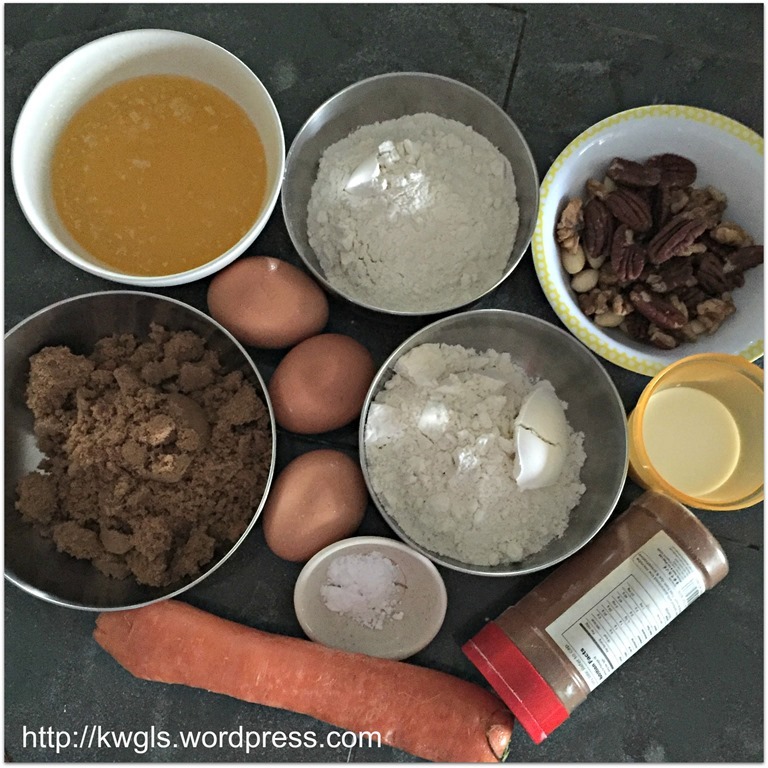 Sprinkle some additional mixed spices and chopped pecans/walnuts before serving. If the frosting is too soft, chill in the fridge for 15 minutes before application. 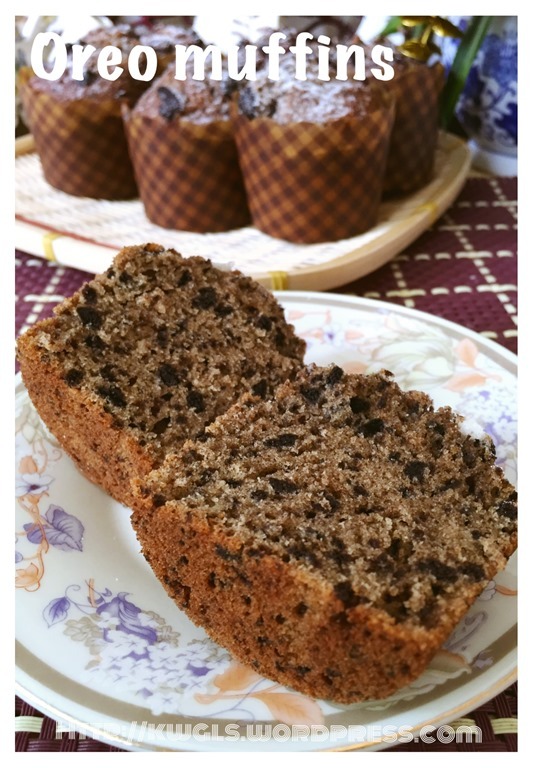 This is a much simpler recipe that yields better taste and texture than the first recipe that I try. 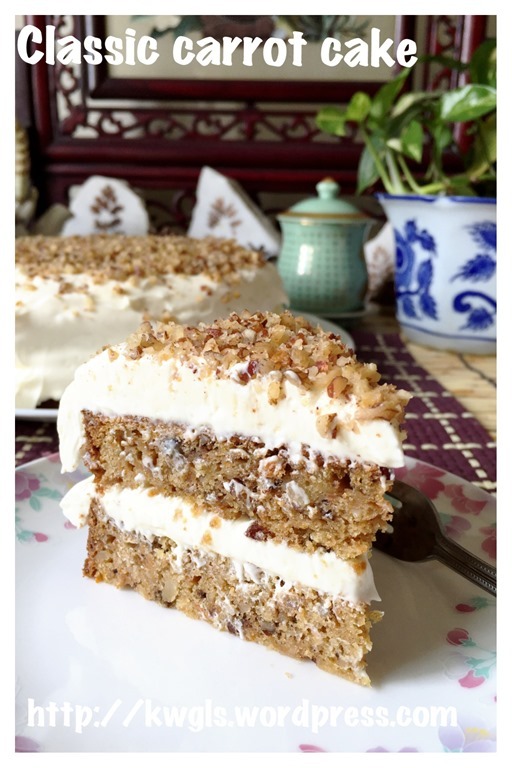 If you are looking for a carrot cake recipe, you may want to consider this simple recipe. 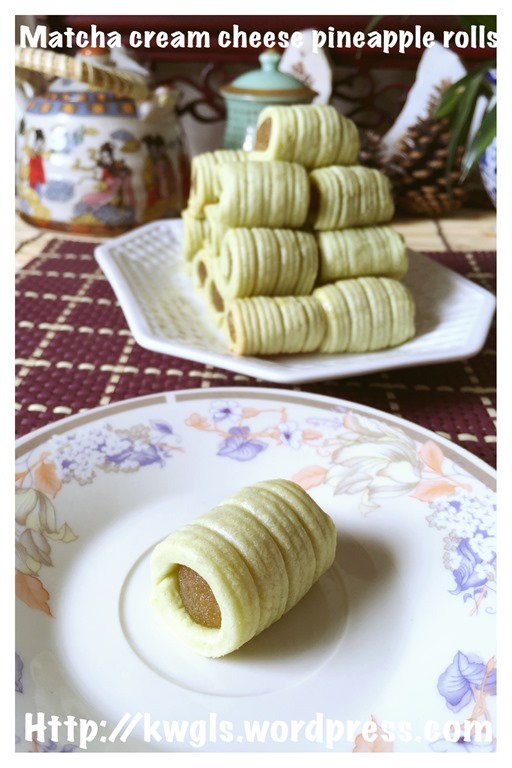 This is a recipe that I need no reference from other website. 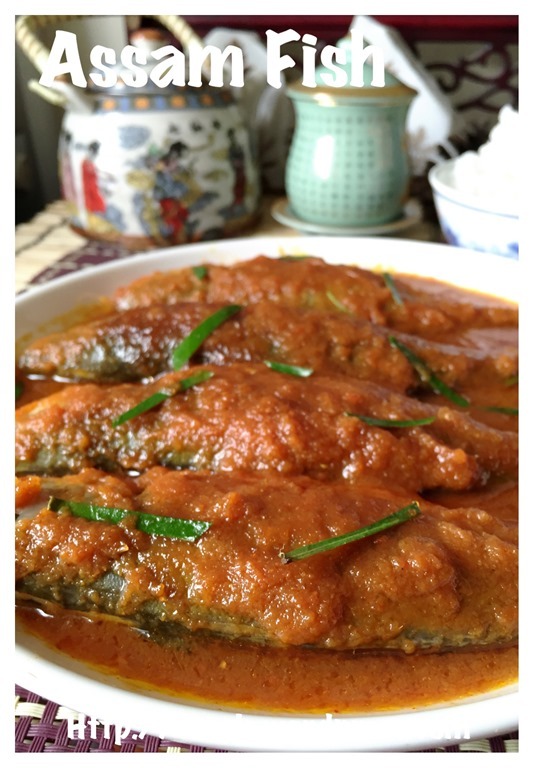 It is a common household dish that was cooked by my late mum since we are very young. 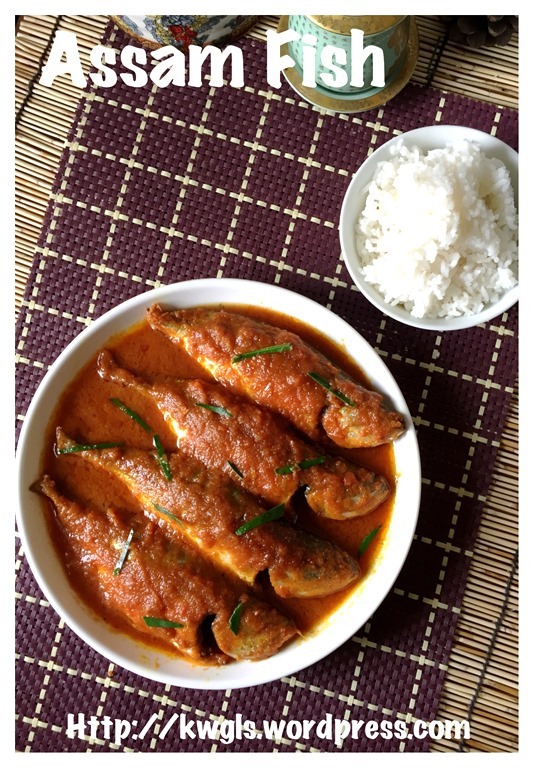 When I started blogging, I have rejected sharing this type of simple home cooked dishes for fear that readers will not accept such recipes. 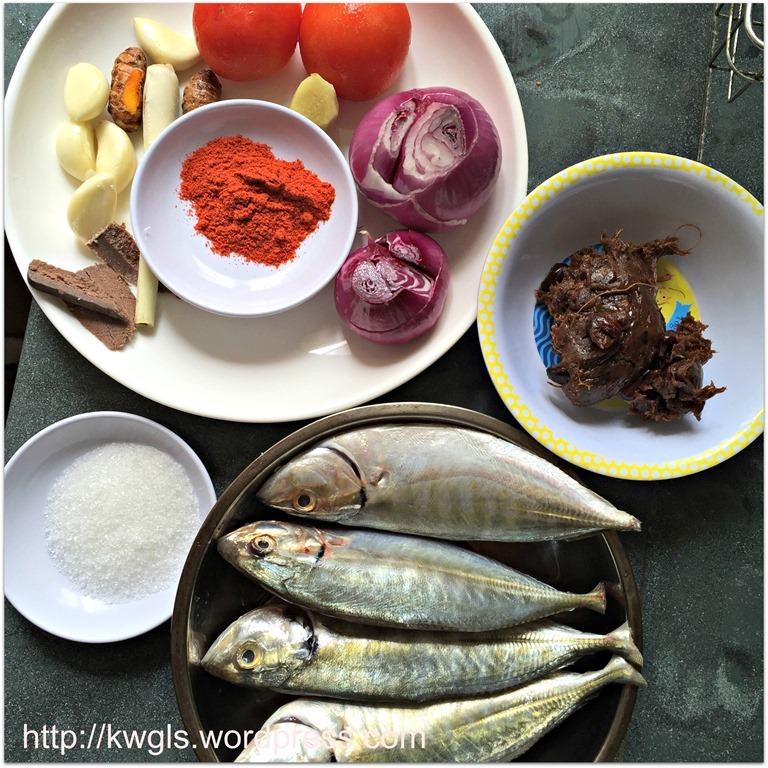 Apparently, lots of blogger are blogging the dish and since i am cooking today, I will also share this recipe too. 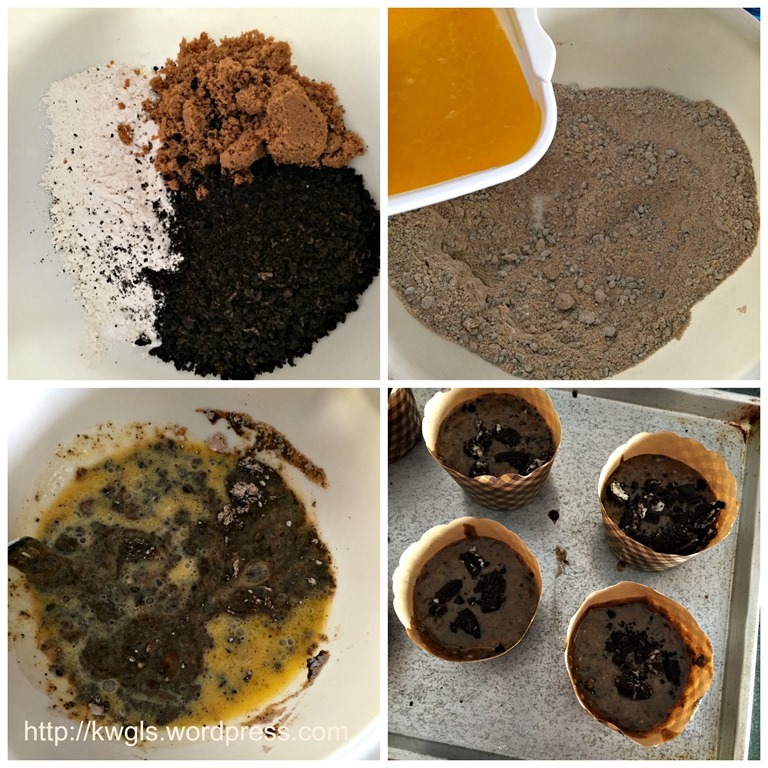 This is a recipe that can be as elaborate as you want in terms of herbs used. 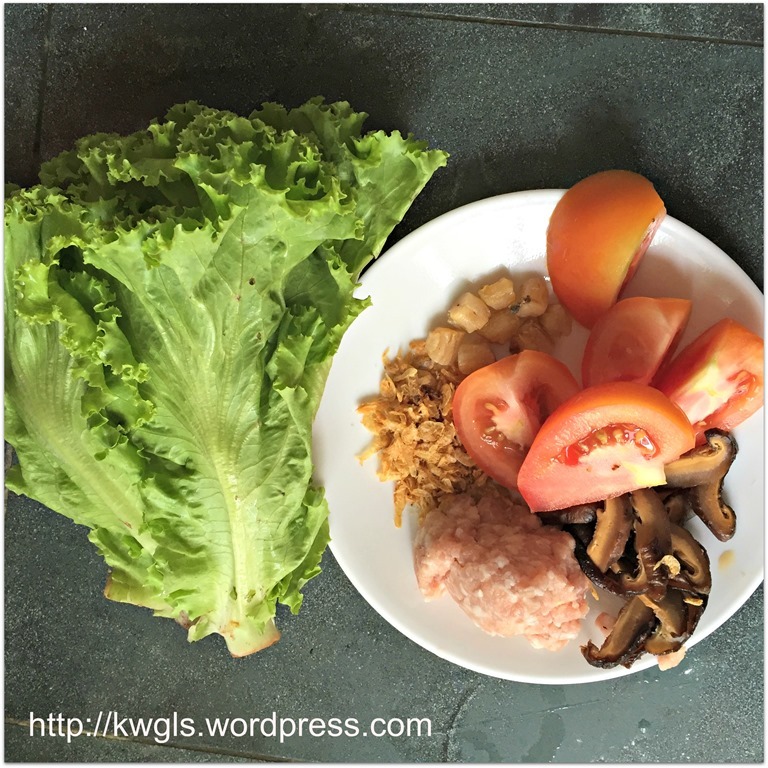 It can also be as simple liked what is cooked by my late mum. 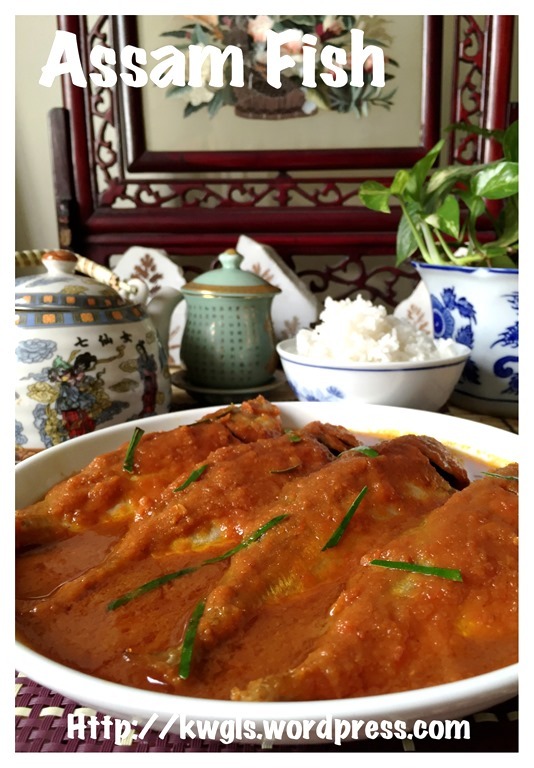 Being hailed from Sarawak where practically there are very few Peranakan community, most Chinese households also knew how to cook this dish . What is different from the West Malaysian version is the use of herbs that are not common in Sarawak such as Bunga kentan or daun kesom etc.. Whether these herbs add to the deliciousness of the dish in my humble opinion is a personal reference. I have a hard time to get use to these two herbs when I stayed in Kuala Lumpur and Singapore but are able to accept it now. 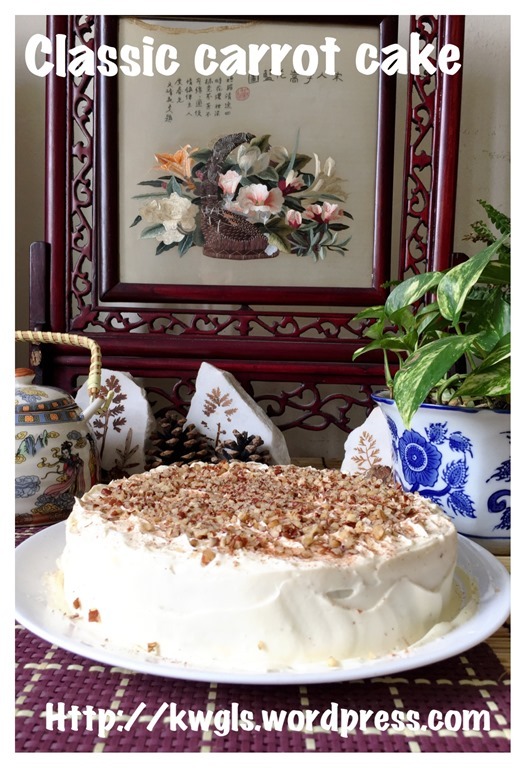 Another reasons that I have excluded these herbs in today’s recipe because I found that a recipe that is overloaded with ingredients will deter readers from trying. Buying a pack of bunga kentan or laksa leaves and using only 10% of it obviously is wasting money .. 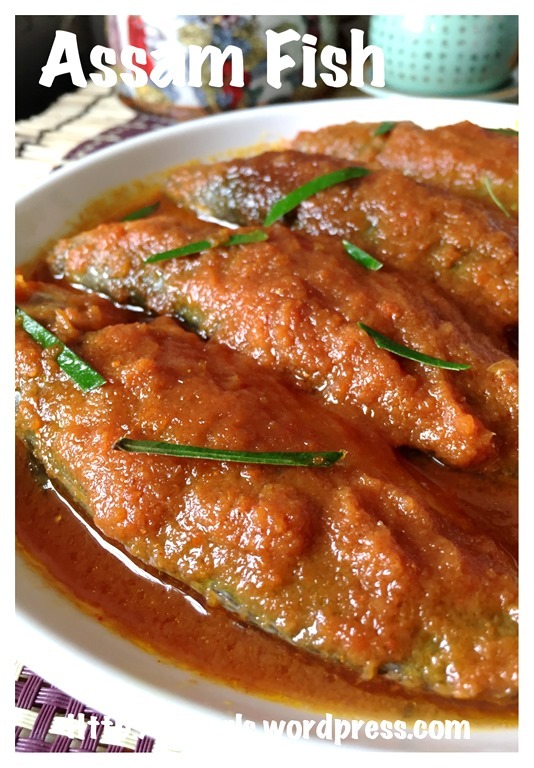 But if readers insist that this is compulsory in the recipe, you can always add it to suit your taste buds. The picture in this post may not be as attractive as it should be . The main reasons is the fish used. 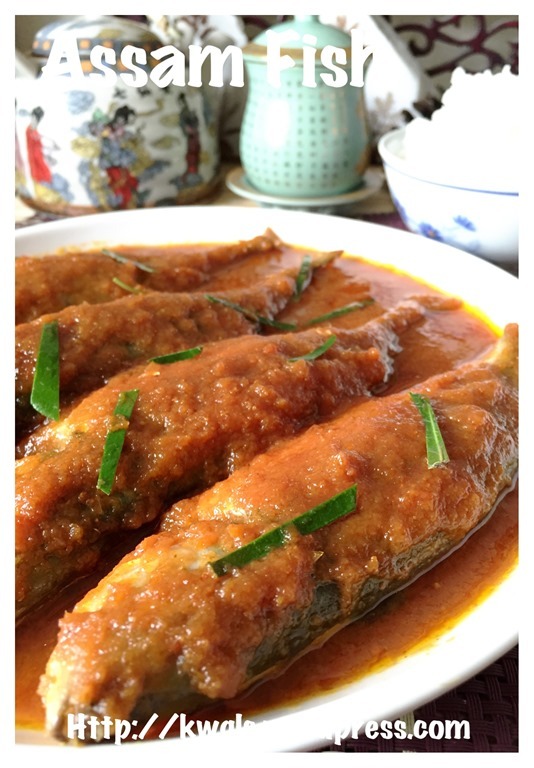 In this illustration, ikan selar was used and that is what my mum used to cook ..Usually fish selection will based on fish that are fishy in nature after cooking and the concoction of herbs were used to musk such fishiness. 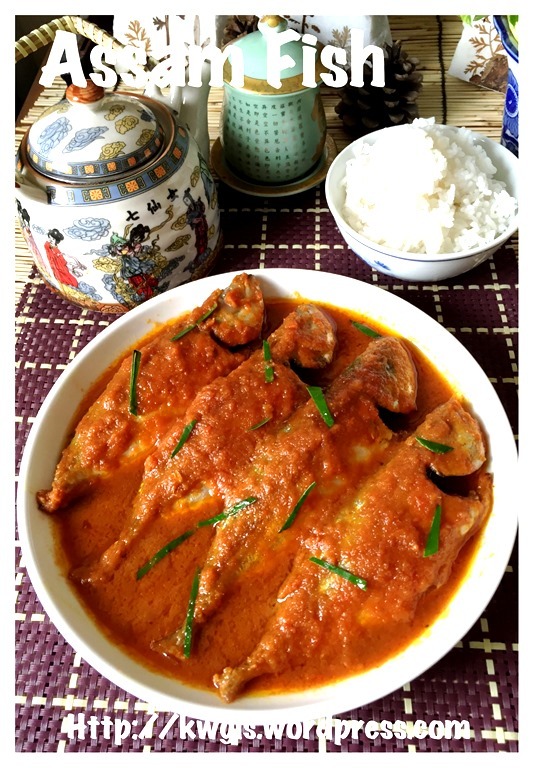 Another common fish that we used to cook is ikan bawal hitam or black pomfret. 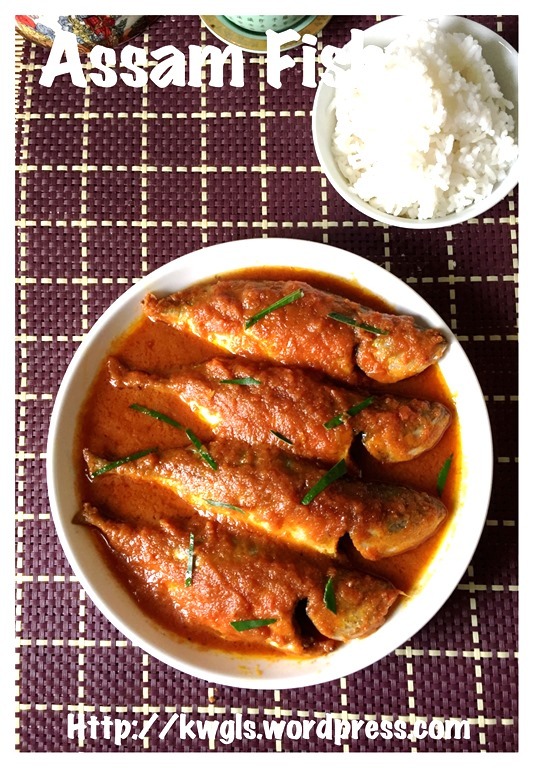 Better fish such as threadfin, garoupa, batang or tenggiri all can be used but to me it is a waste to use these type of fishes to cook this dish. 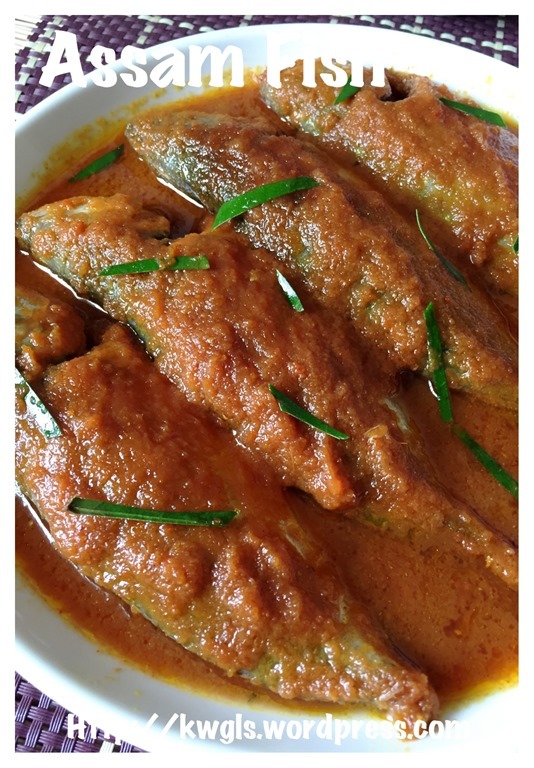 These better fishes can be steamed or grilled or pan fried to enjoy its freshness and sweetness without the need to use lots of herbs. Well, in my opinion, any fishes can be used and I will leave it for readers to decide. Put all the rempah or spice mix ingredients in a blender (except powder form), add adequate water just to cover 1/2 the height of the ingredients, blend until as fine as possible. 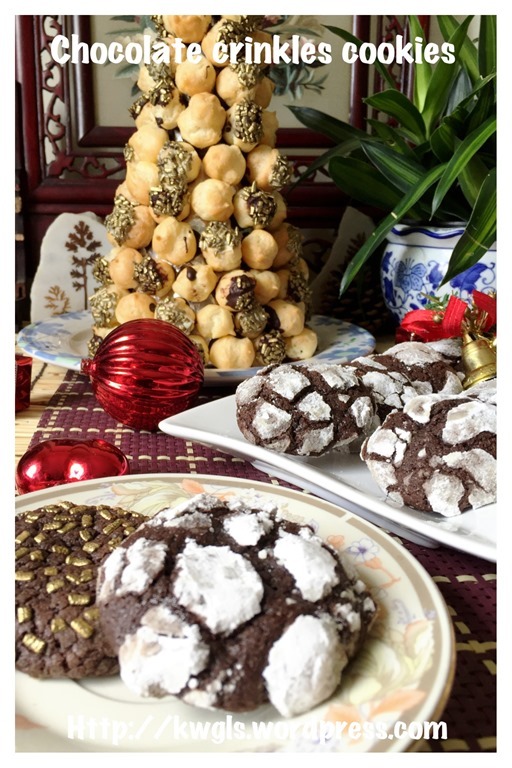 Alternatively, you can pound these ingredients using traditional mortal and pastel. 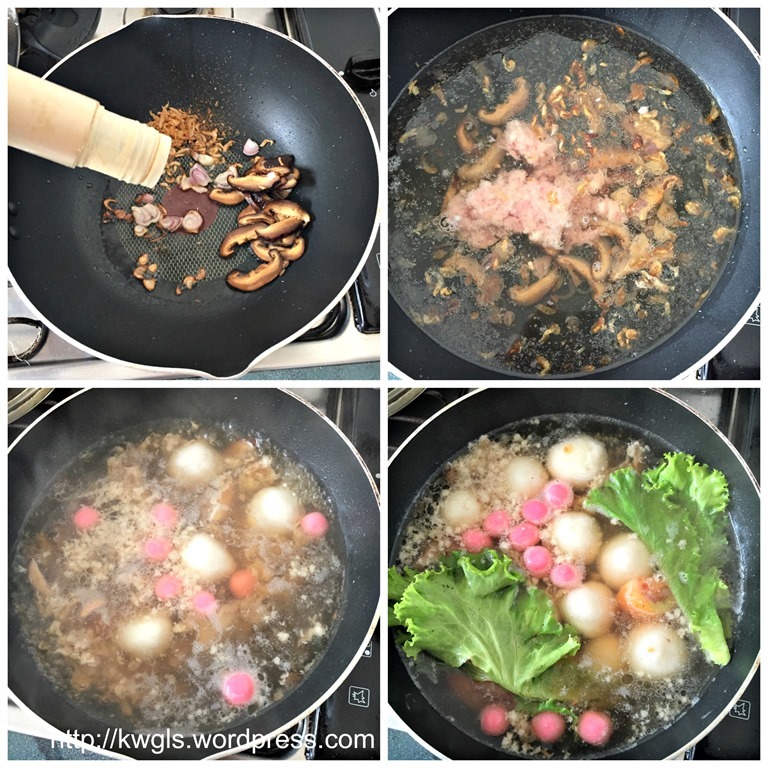 In a wok, put about 2-3 tablespoons of cooking oil, sauté the rempah or spice mix under medium heat until fragrant and until oil starts to separate out from the ingredients. In this process, you will witness the colour of the rempah darkens and getting drier and drier. It took me about 15 minutes to get what I wanted. 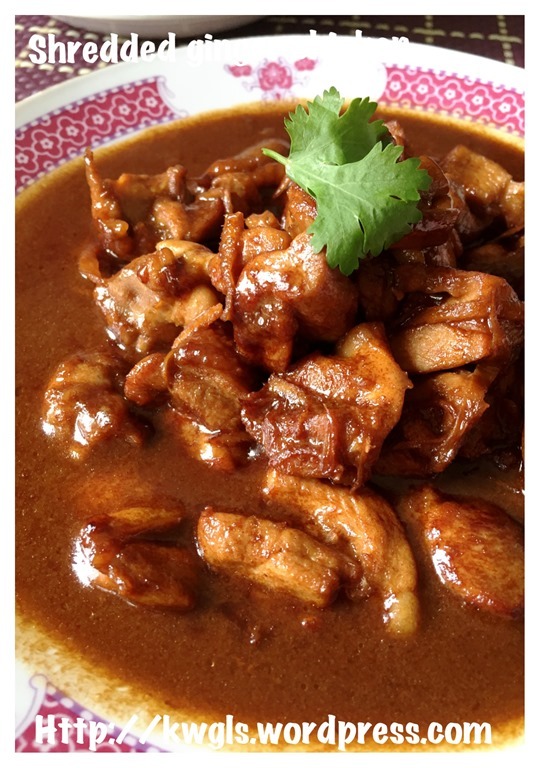 Mix 2 tablespoons of tamarind paste with 6 tablespoons of water and extract juices. Pour the assam juices into the rempah, stir until well combined. 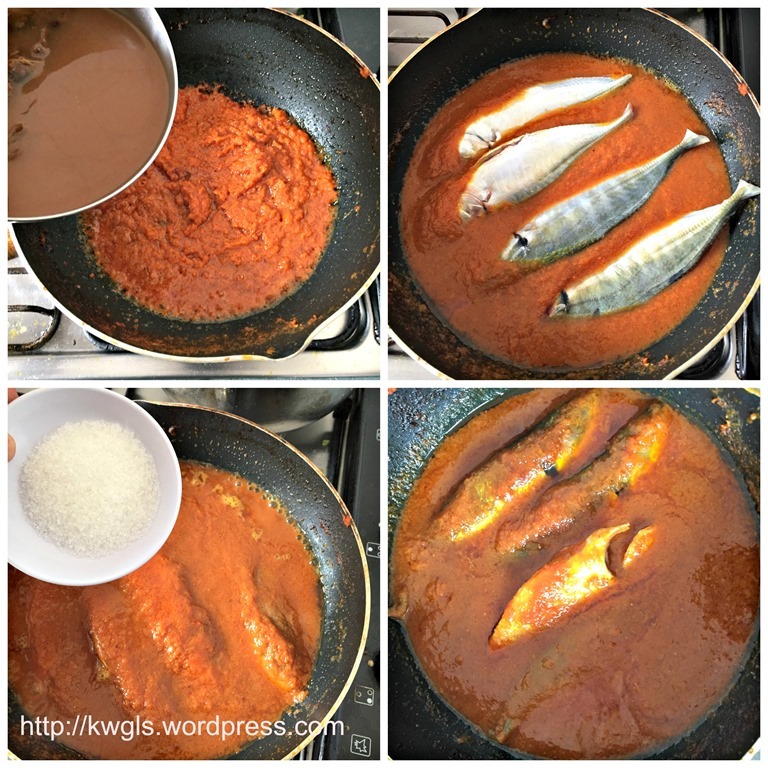 Add the fish and follow by the sugar, bring to boil and let it simmer for 5 minutes. 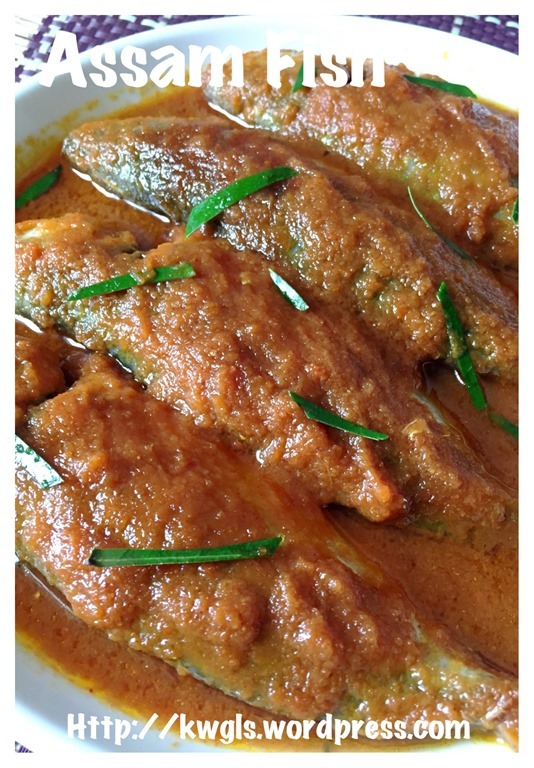 Off the heat and let the fish rest in the assam gravy for at least 1/2 hour before serving. 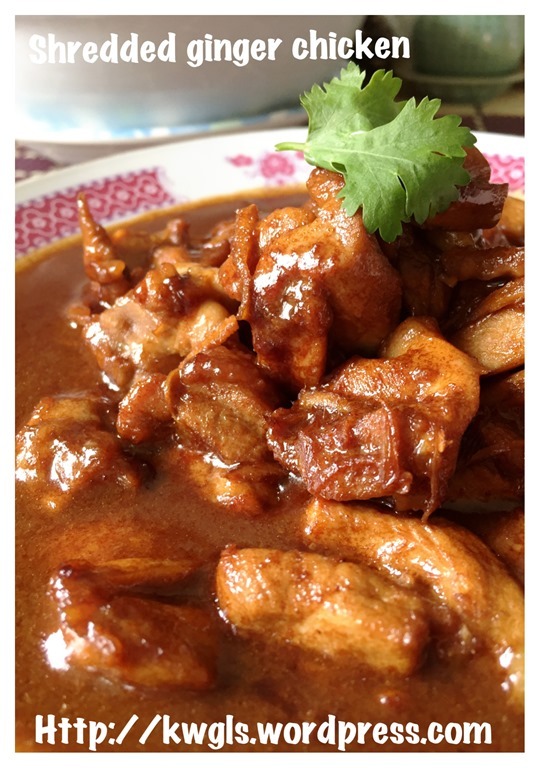 Timing will depend on type and size of fish, in general 5-10 minutes of simmering should be adequate. It is advisable to prepare this dish in the early afternoon and served for dinner to let the flavour develops for a few hours. 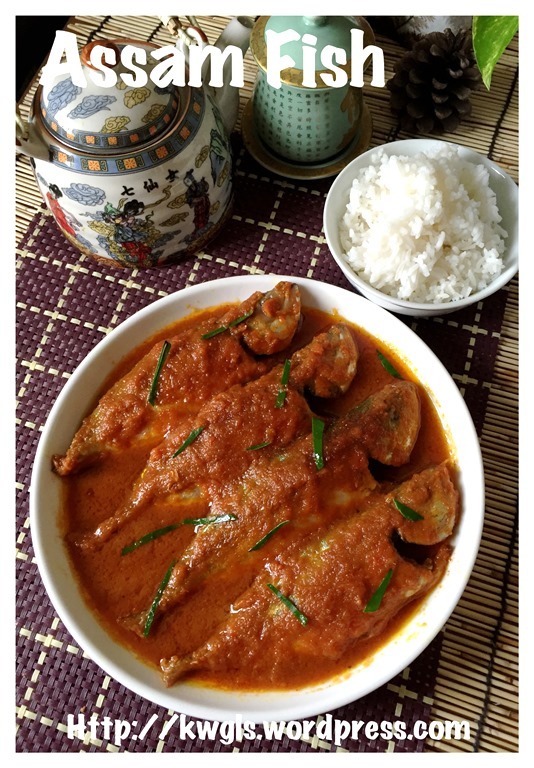 I am unsure if this assam fish of mine do appeal to you but I have to clarify that this type of thick gravy assam fish will not have any vegetables. 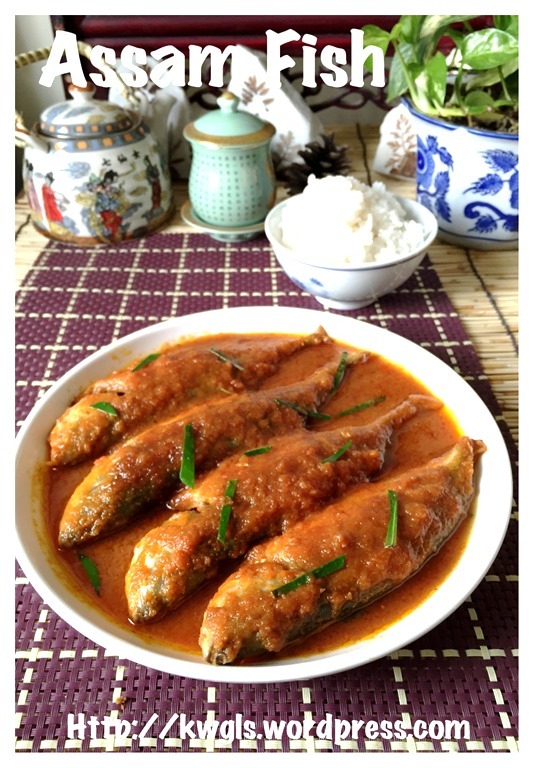 There is another type of assam fish which is more soupy and with lots of vegetable. 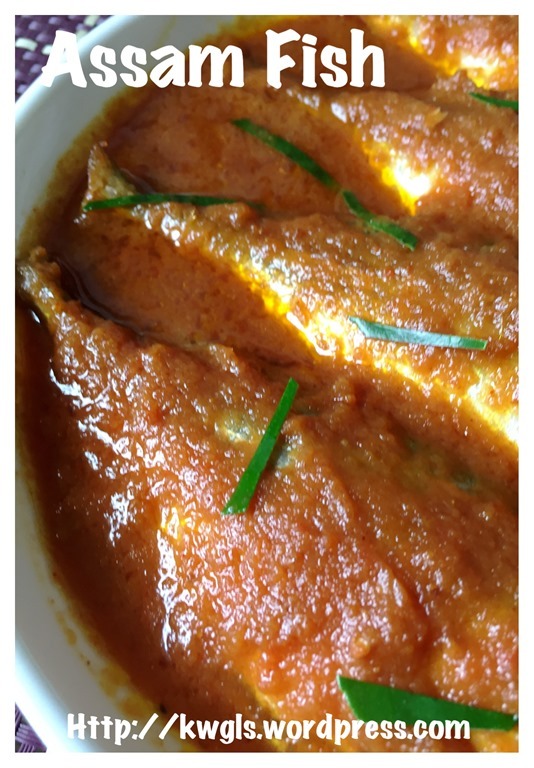 That is very sour but this recipe is supposed to be sour and sweet and it is an enjoyment to have white rice served with this delicious gravy.